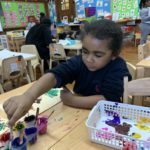 Mia Roberts is our Social Worker, she comes to our school every other week. 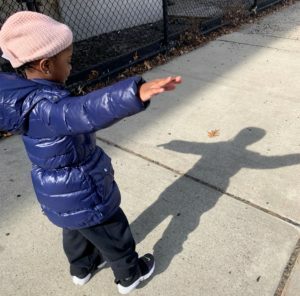 Her cell number is 1-646-203-2664 if you need her assistance. 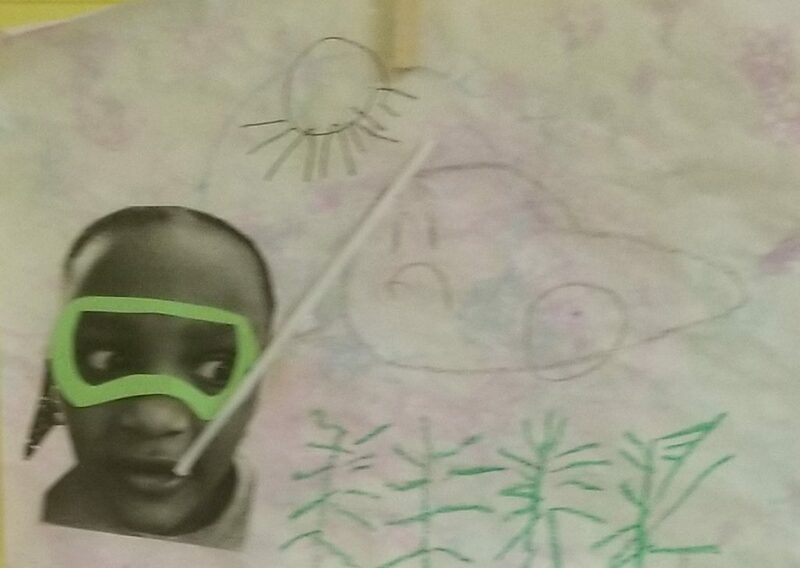 Week Two-What do plants need and where do we find them? 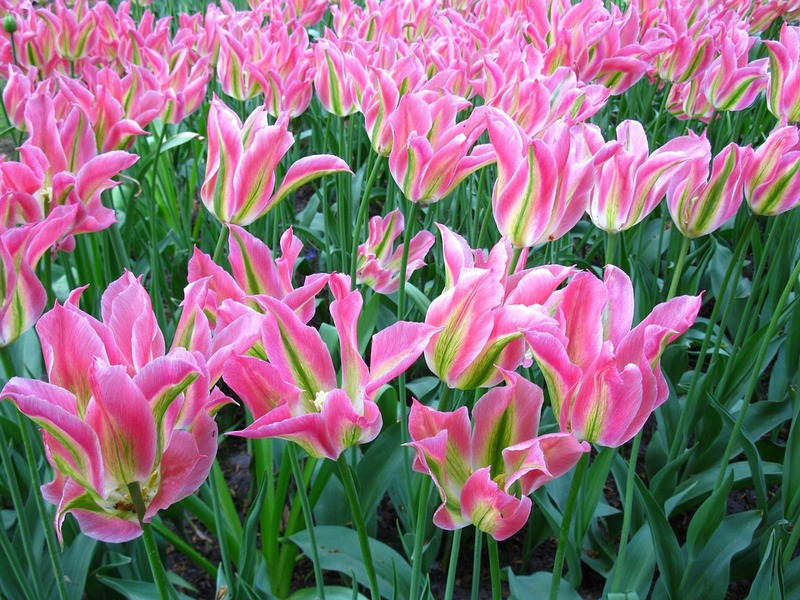 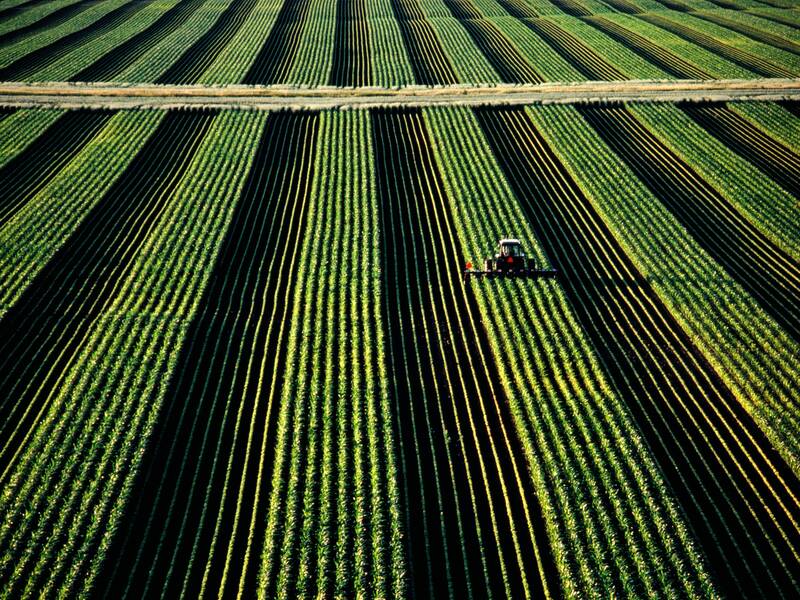 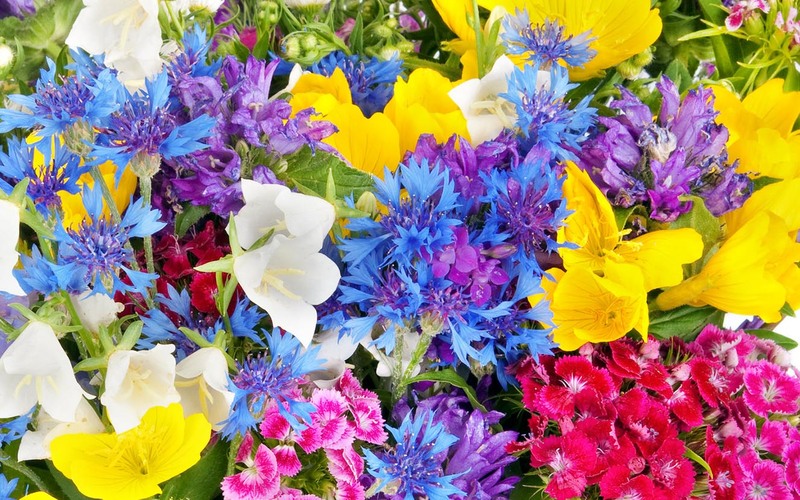 Week Three-What are some different kinds of plants? 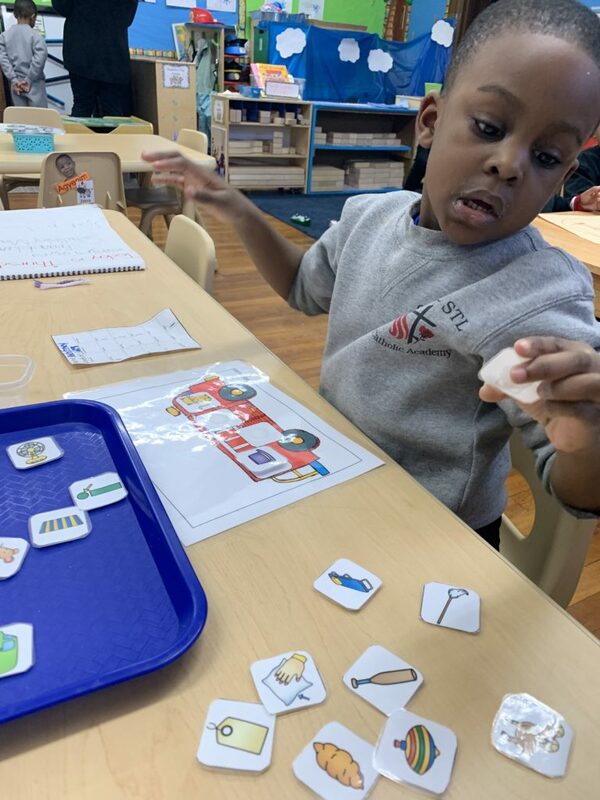 In the ABC center we worked on sounding out CVC words together. 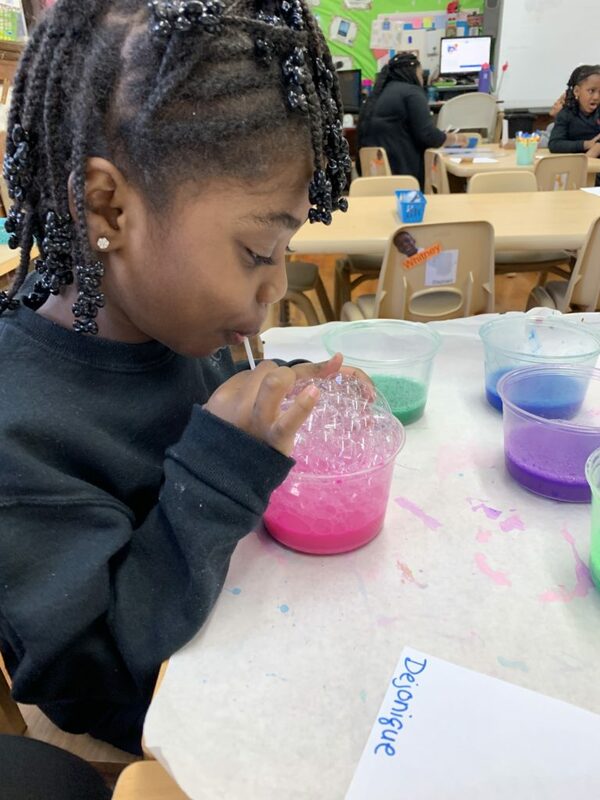 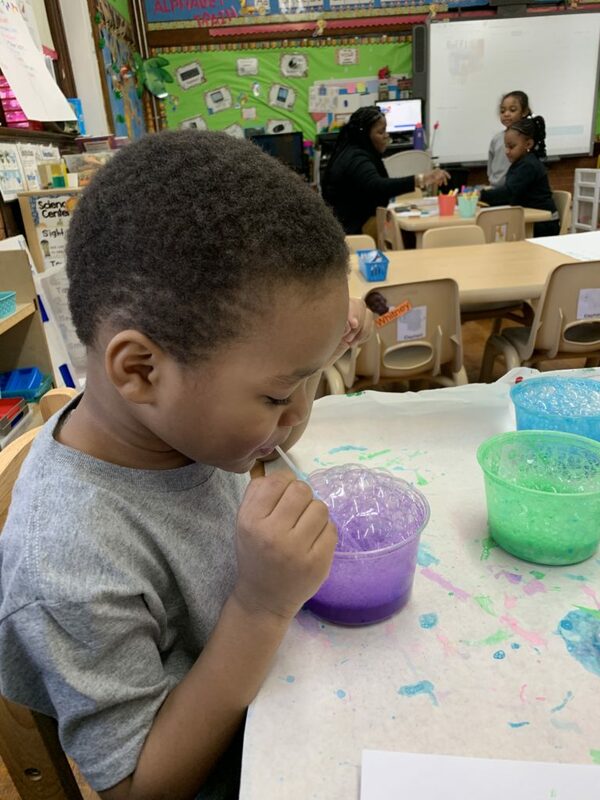 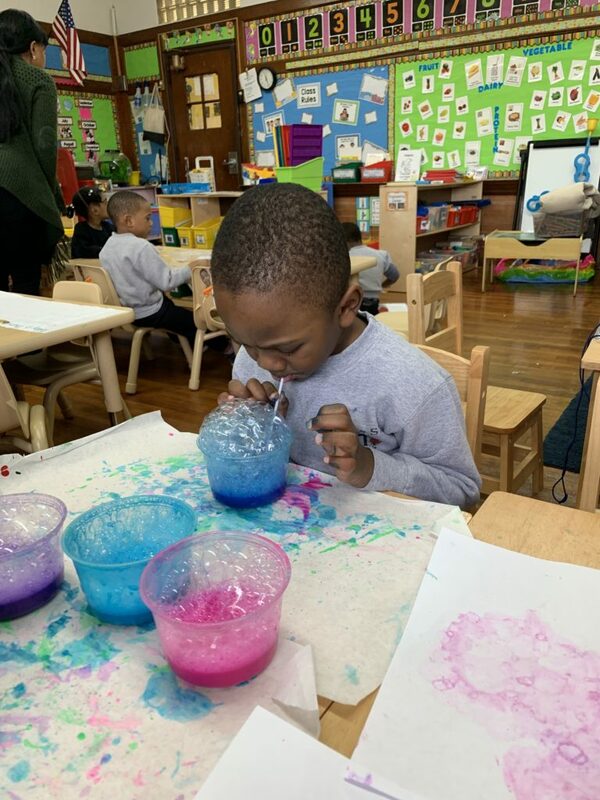 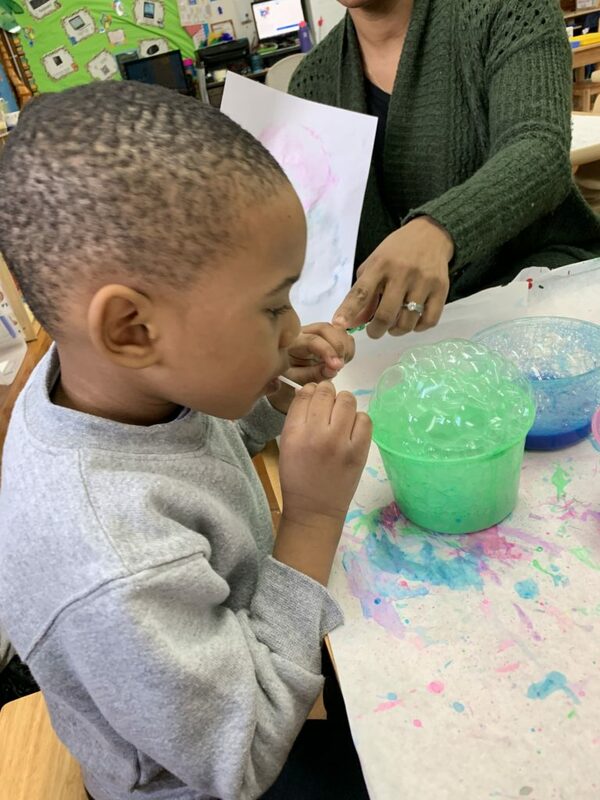 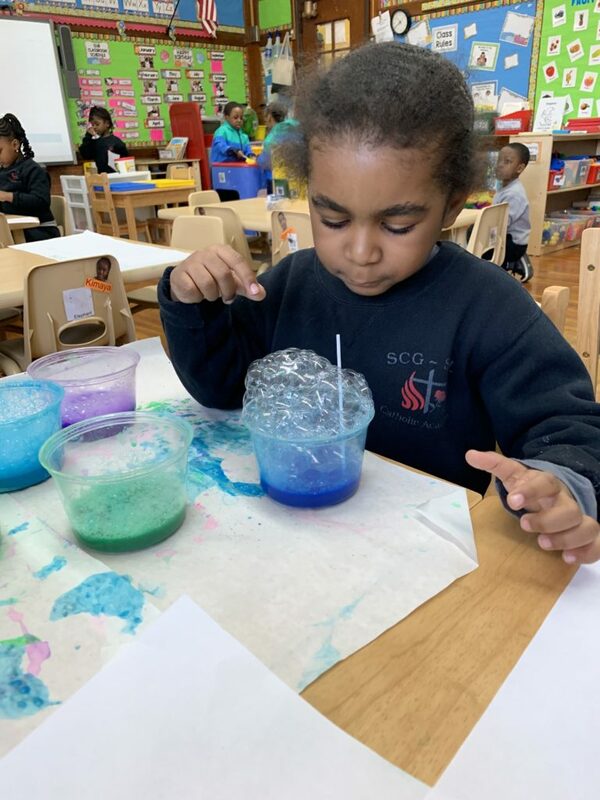 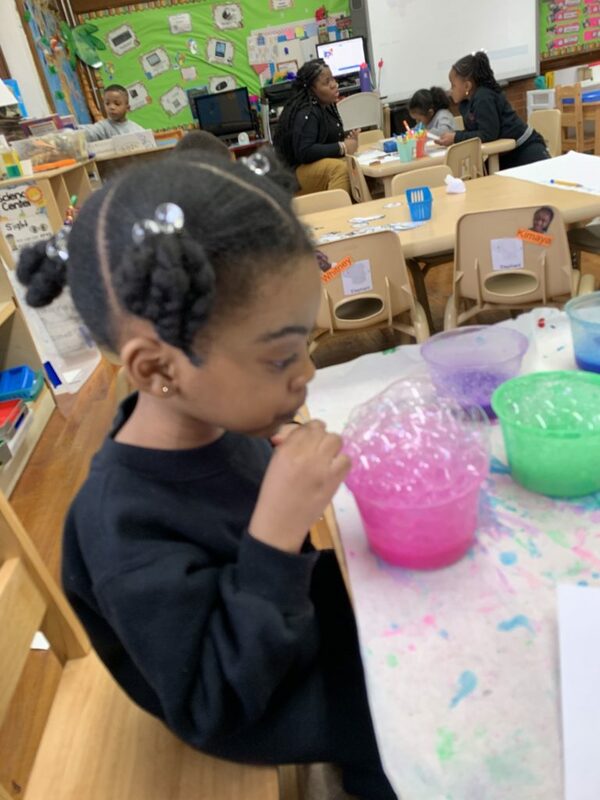 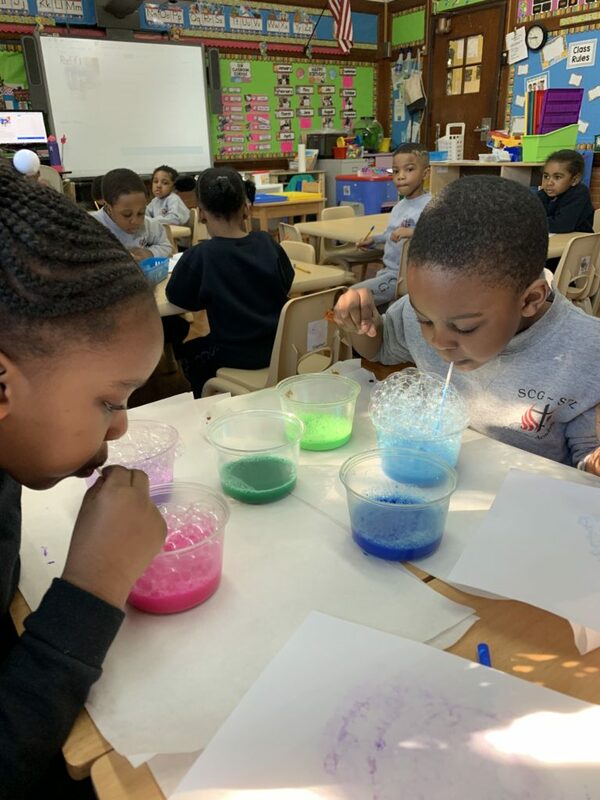 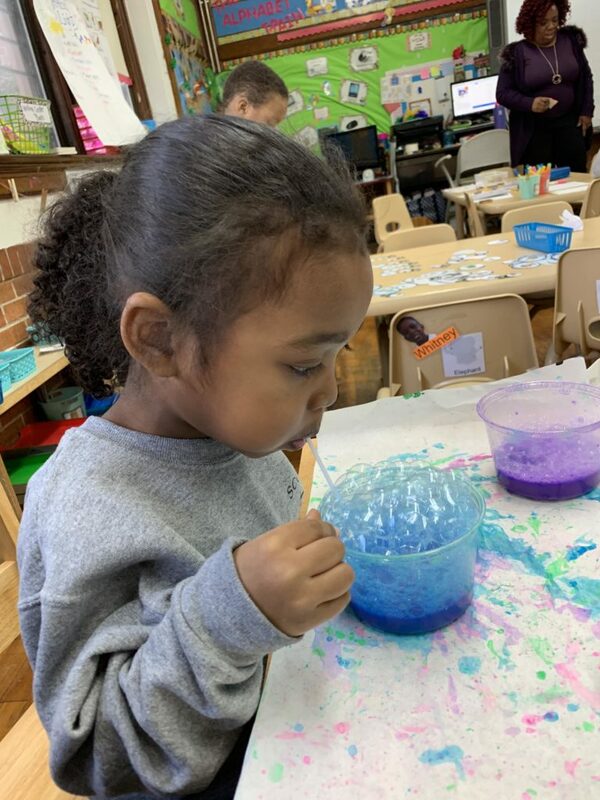 We mixed water, paint and soap and made bubbles using straws. 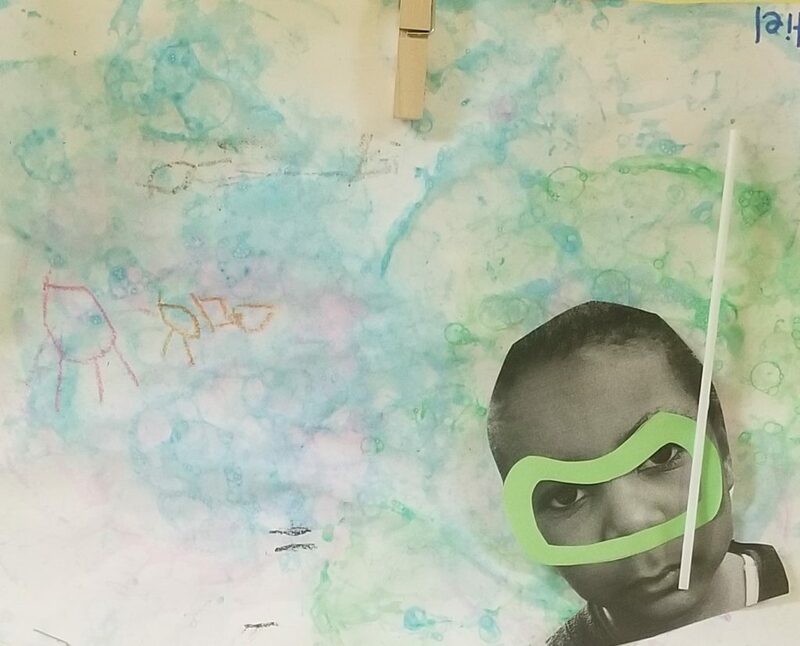 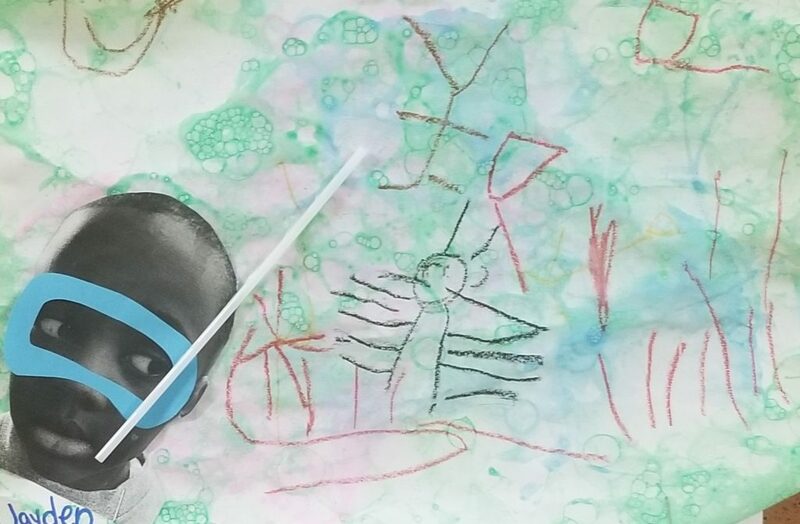 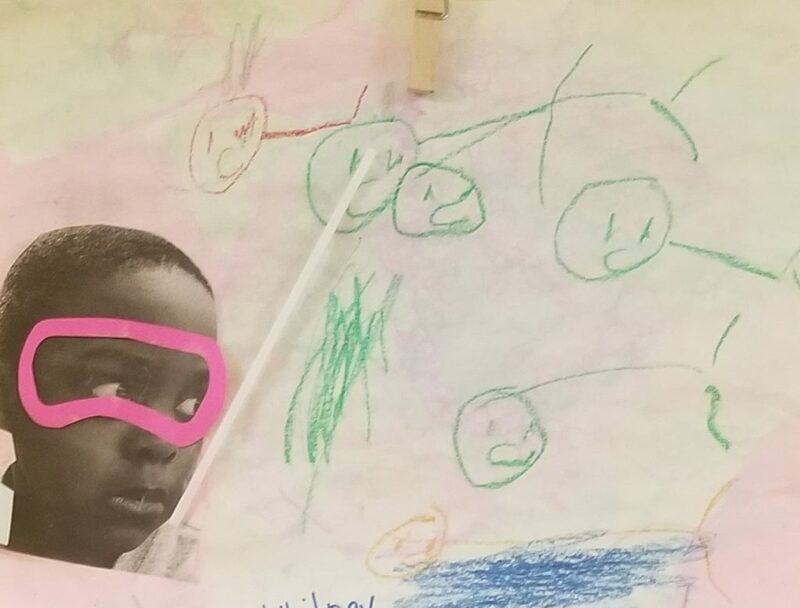 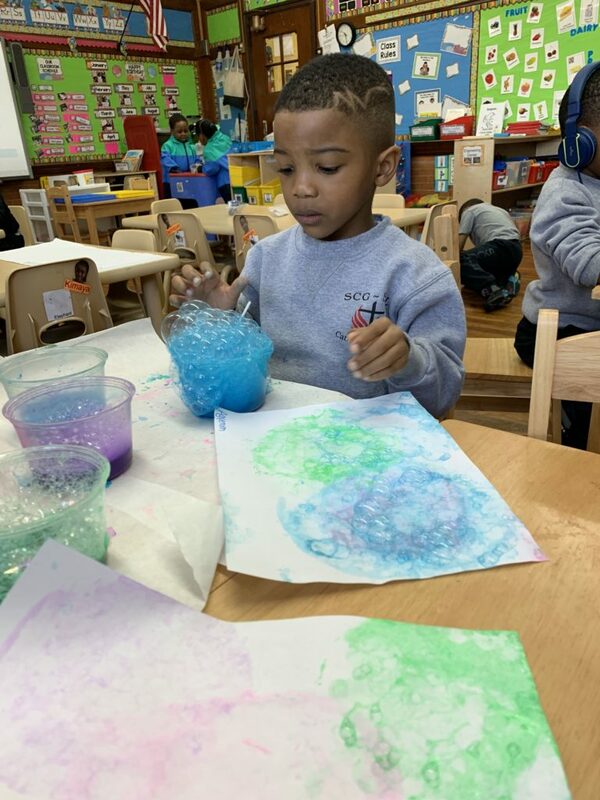 Then we rested paper on the bubbles to leave the colors onto the paper. 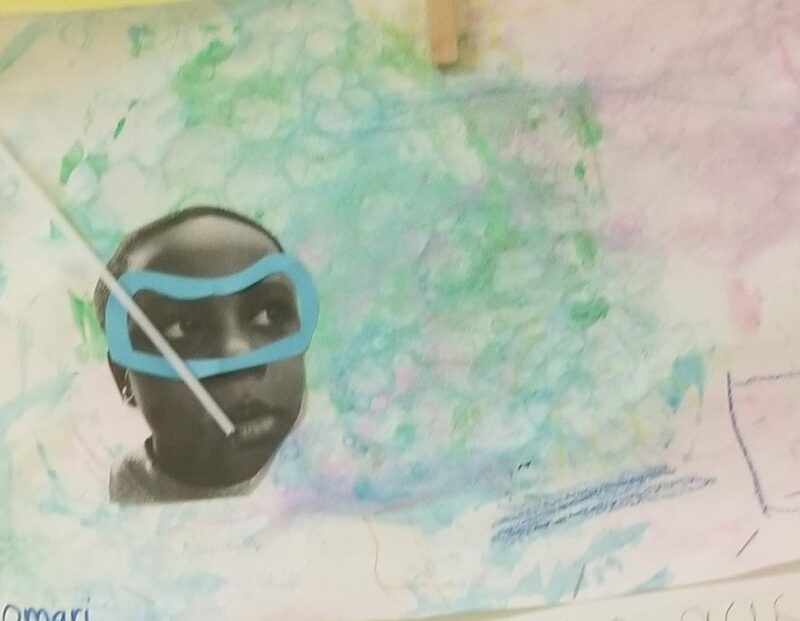 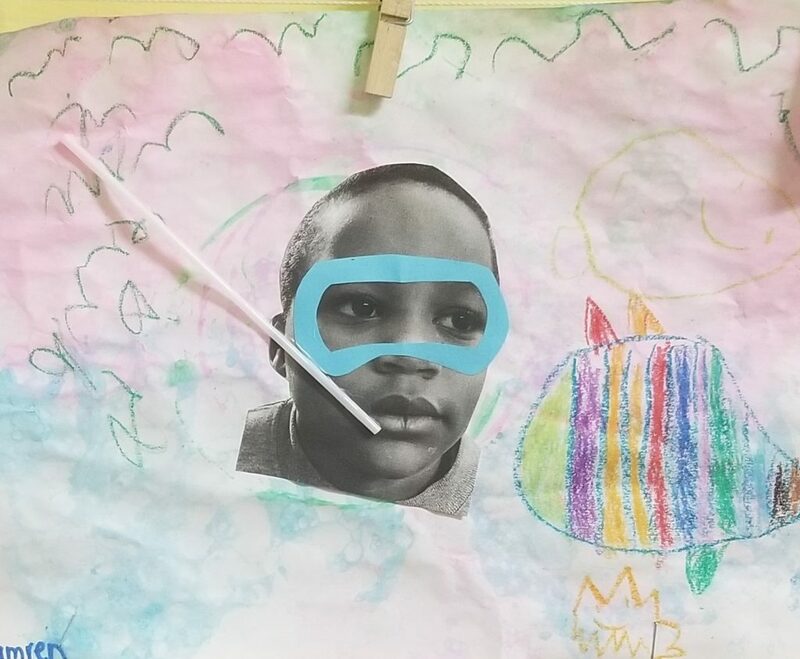 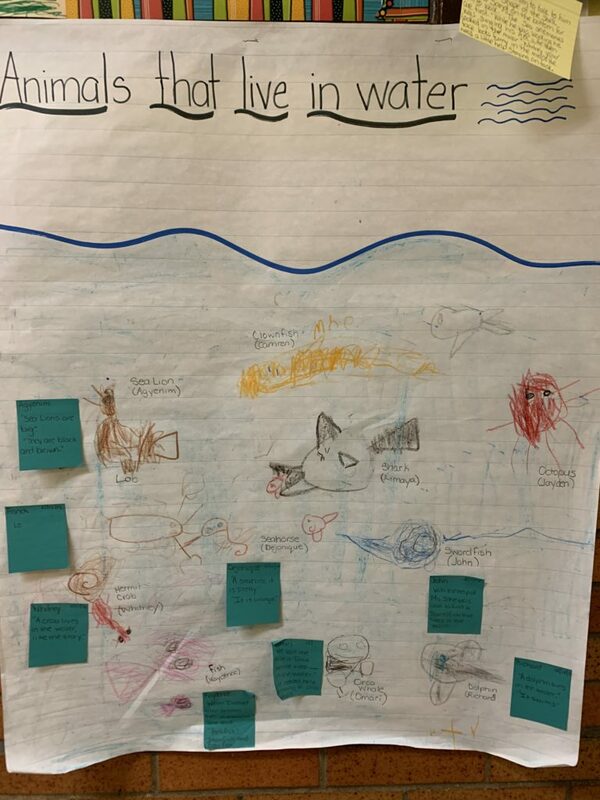 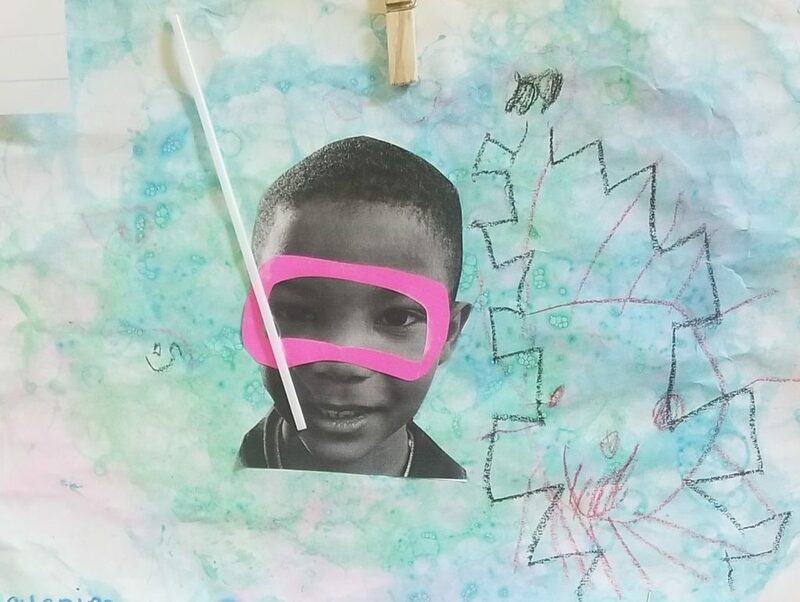 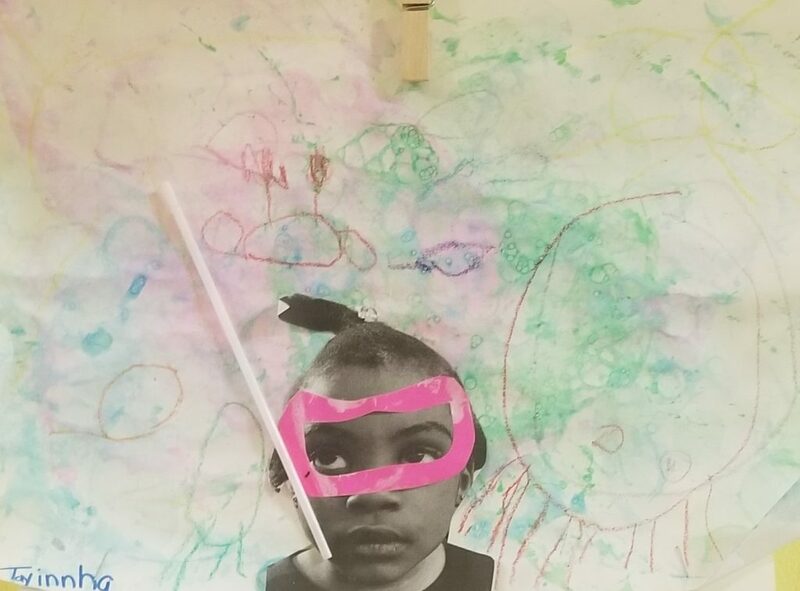 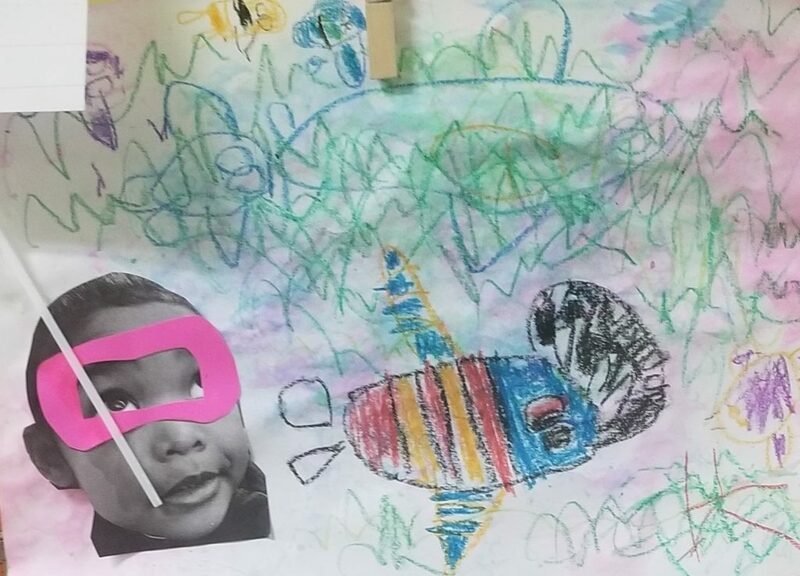 The colored paper was perfect to make an underwater picture! 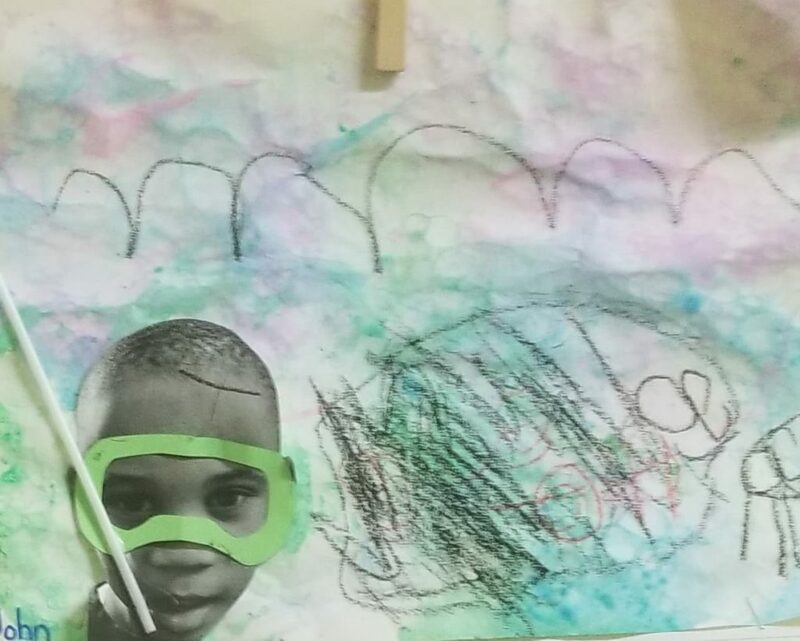 We put some paint in the freezer. 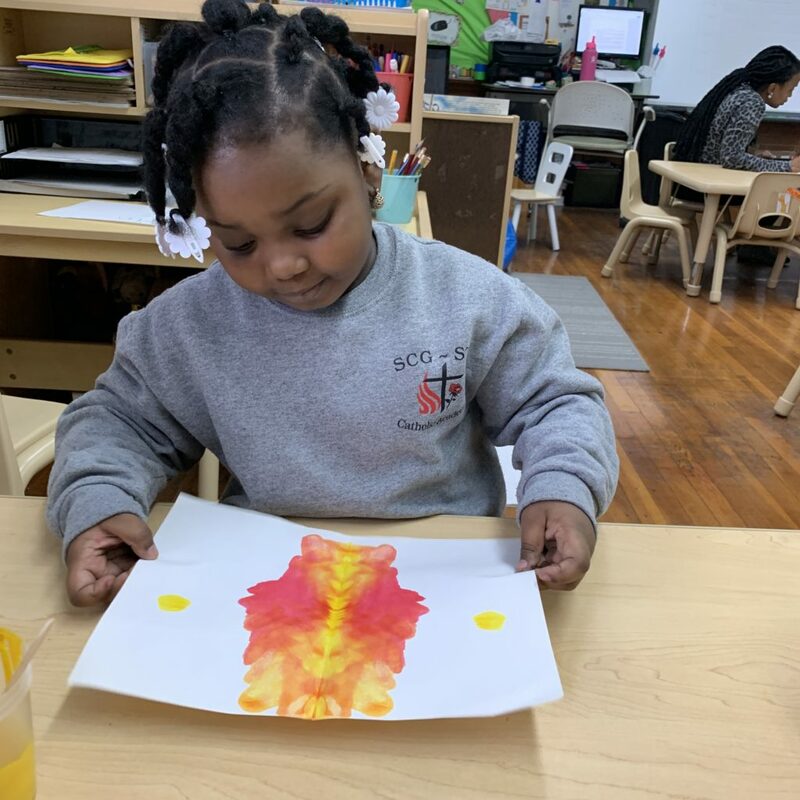 When the paint was frozen we tried painting with it. 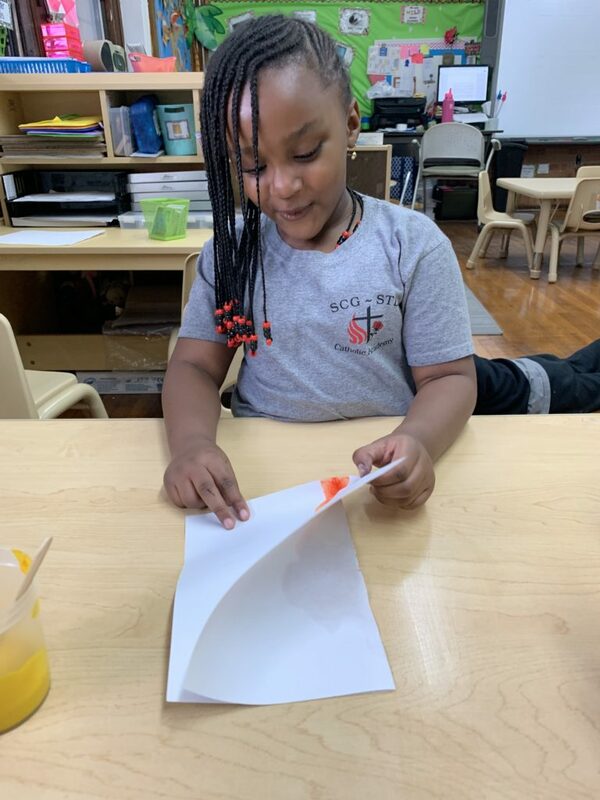 It was hard at first but as it melted it was easier to move on the paper. 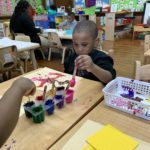 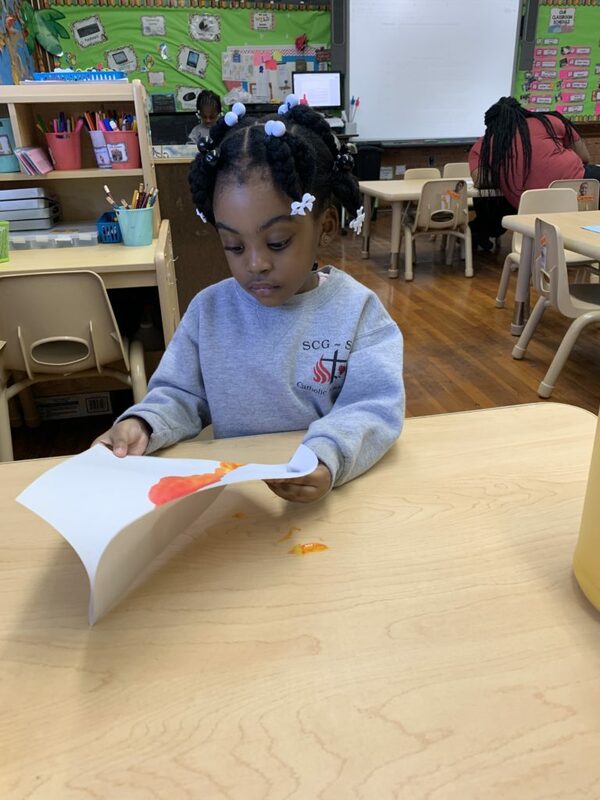 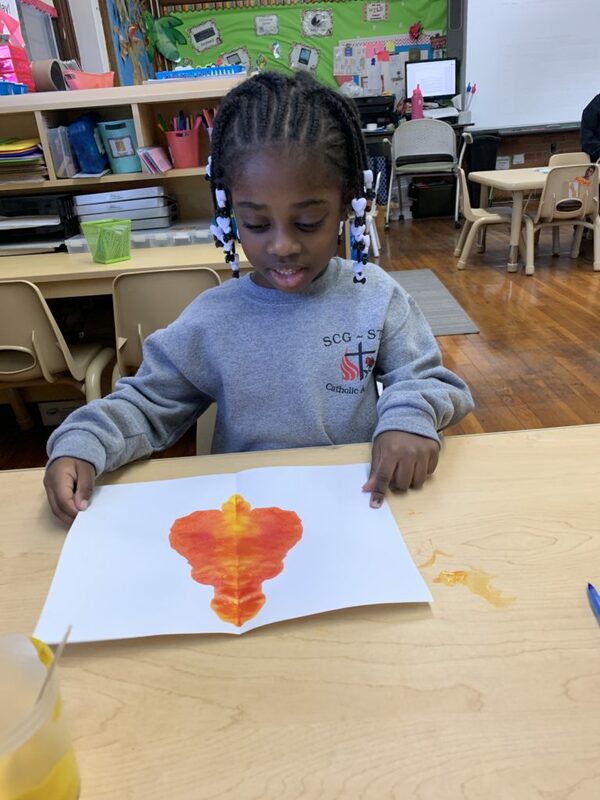 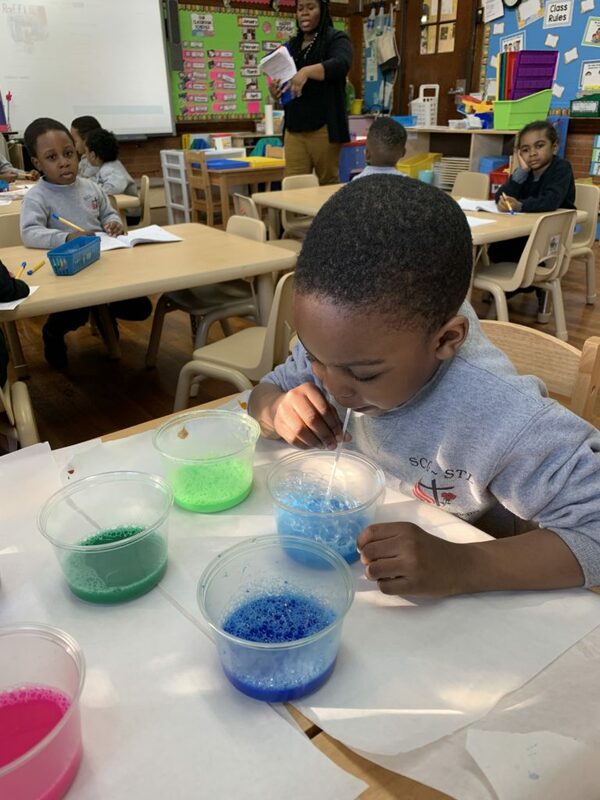 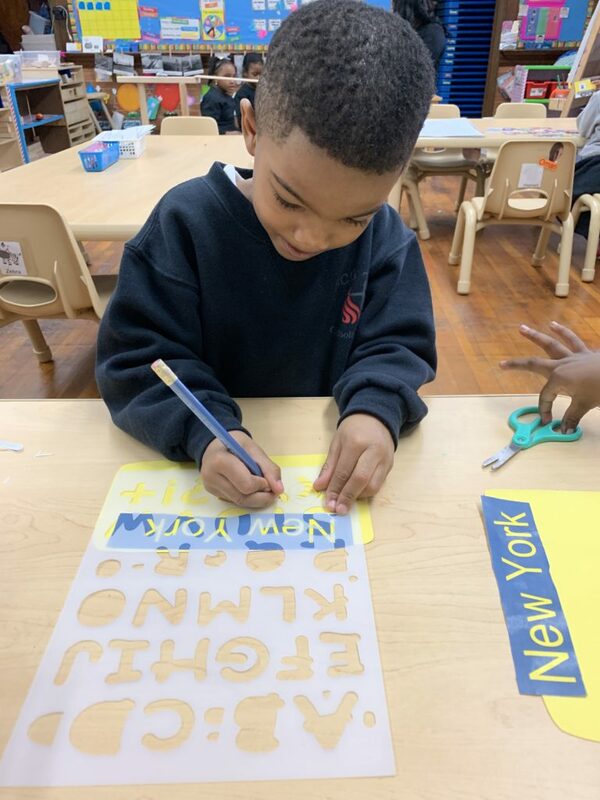 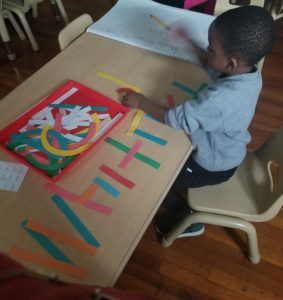 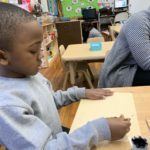 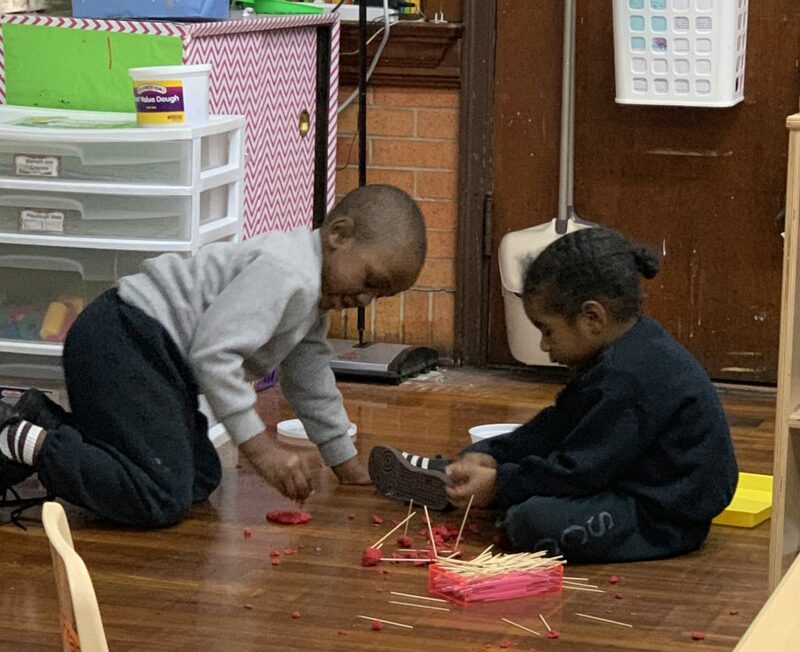 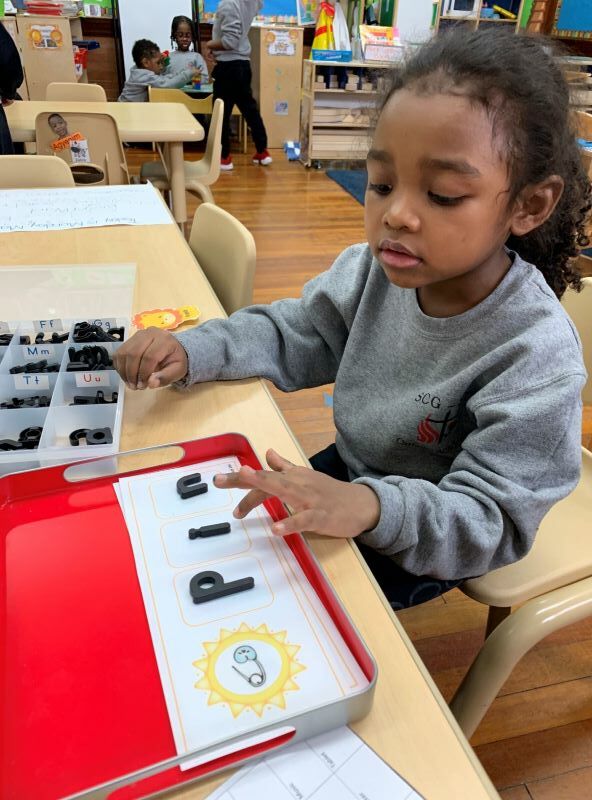 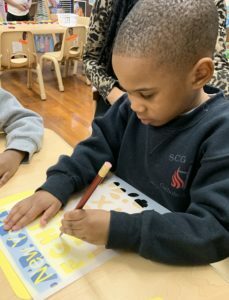 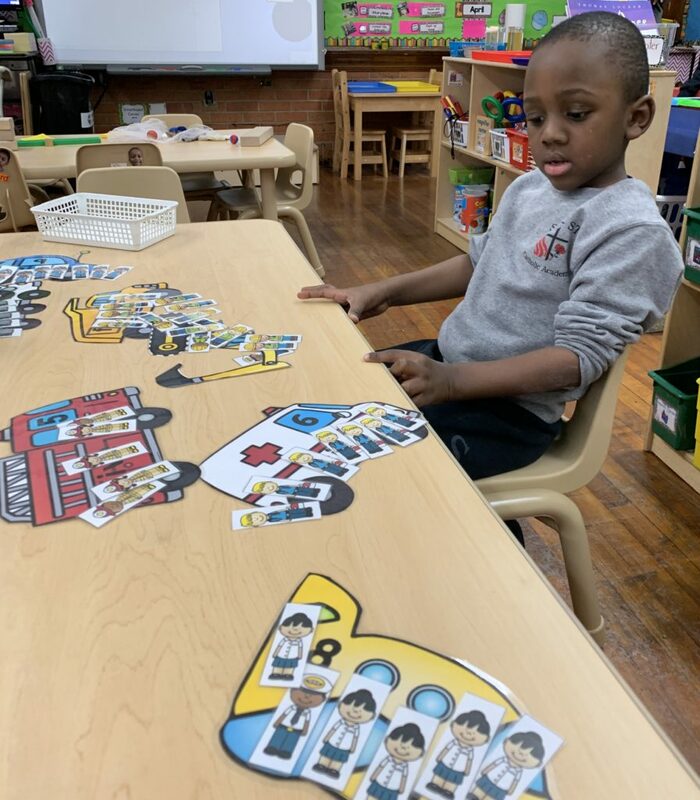 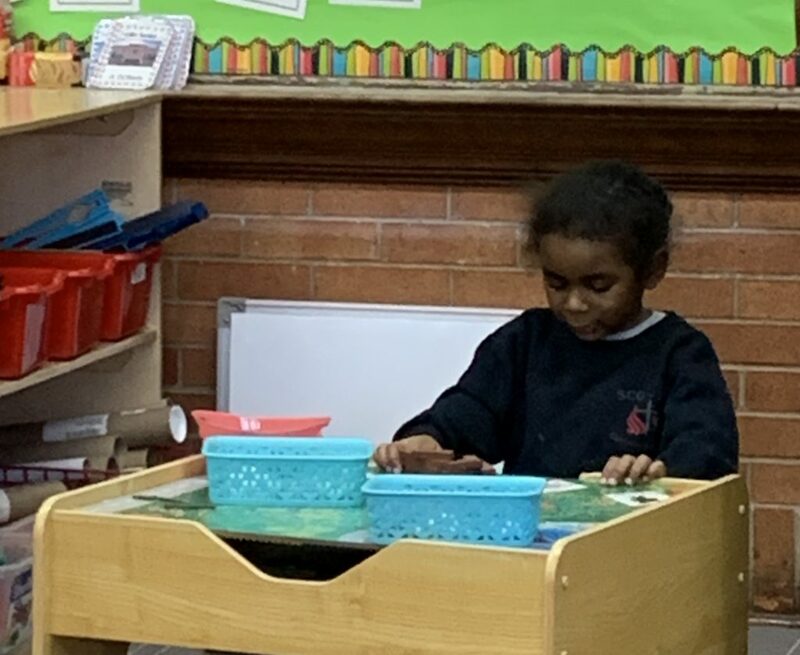 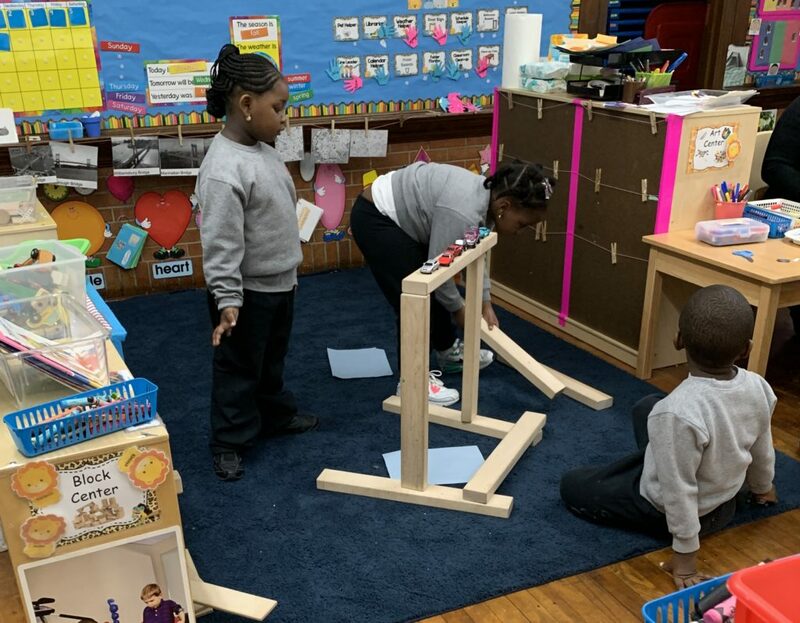 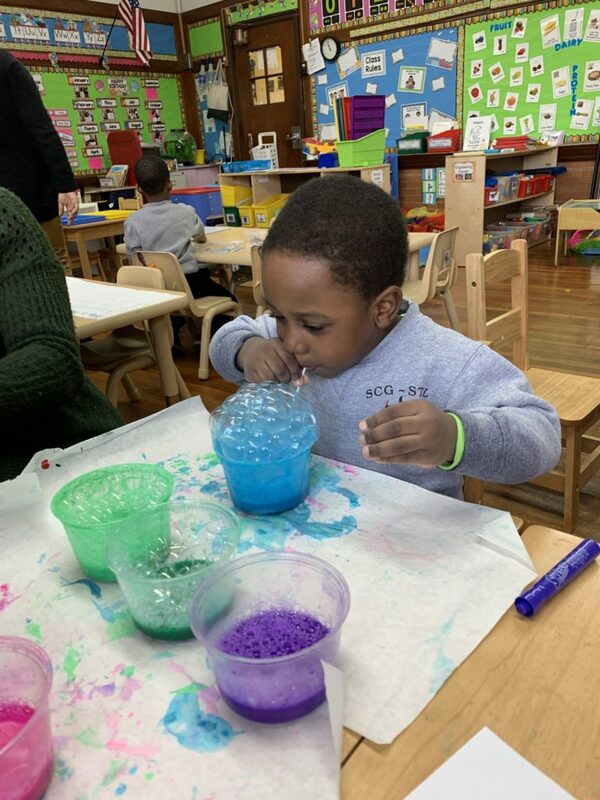 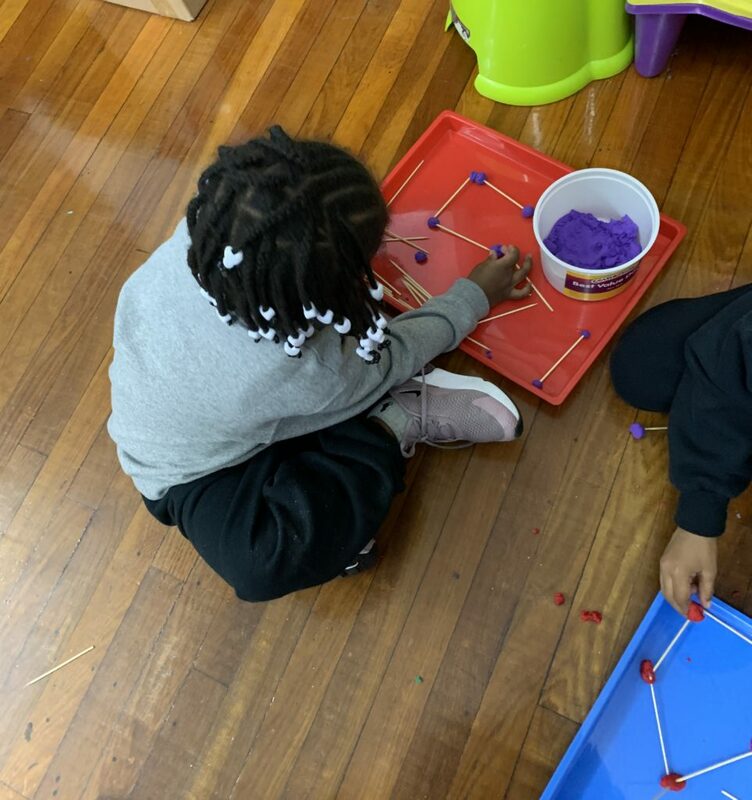 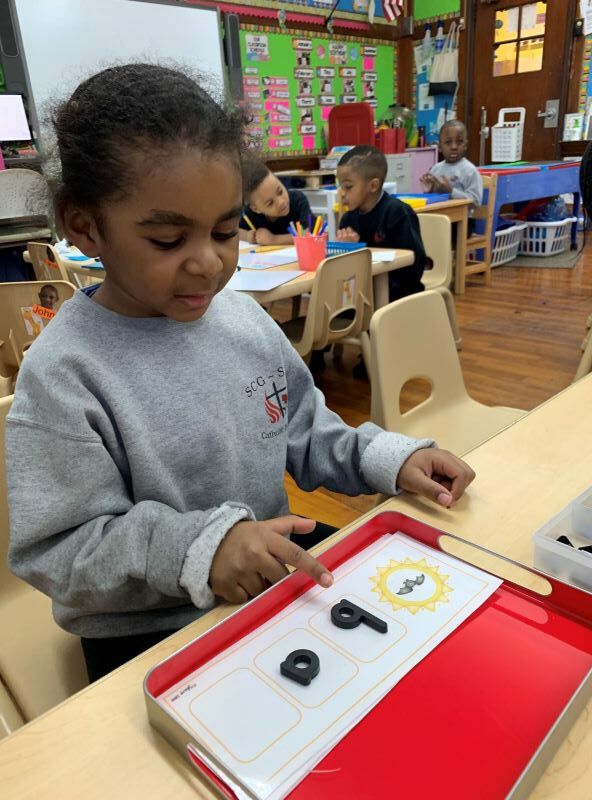 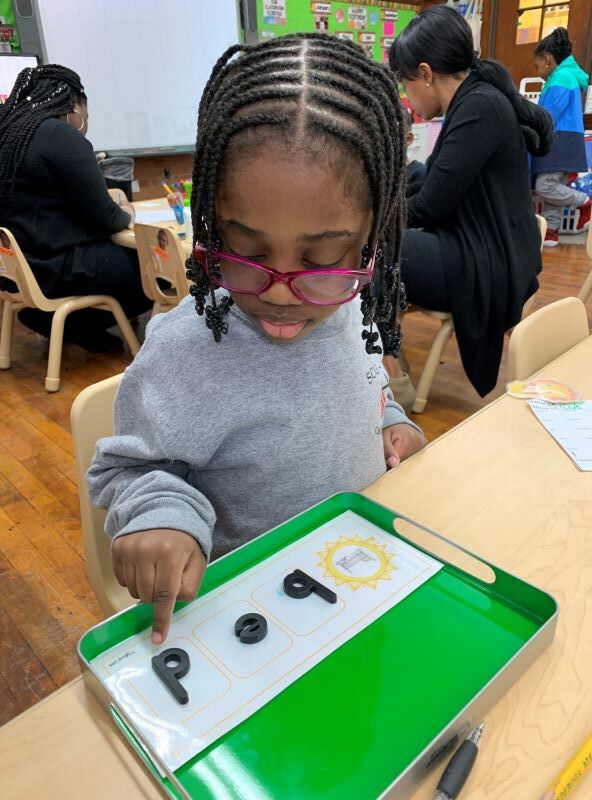 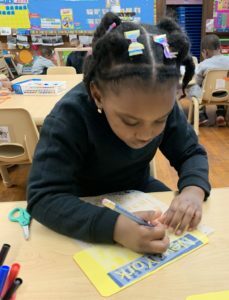 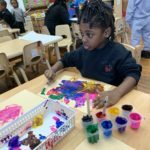 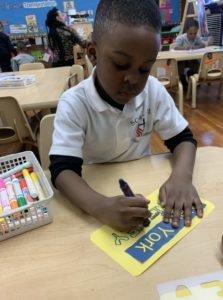 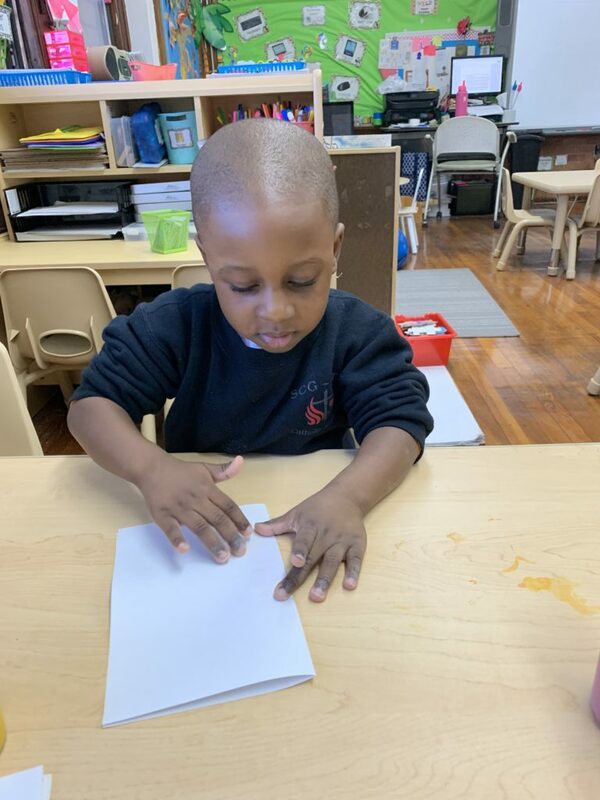 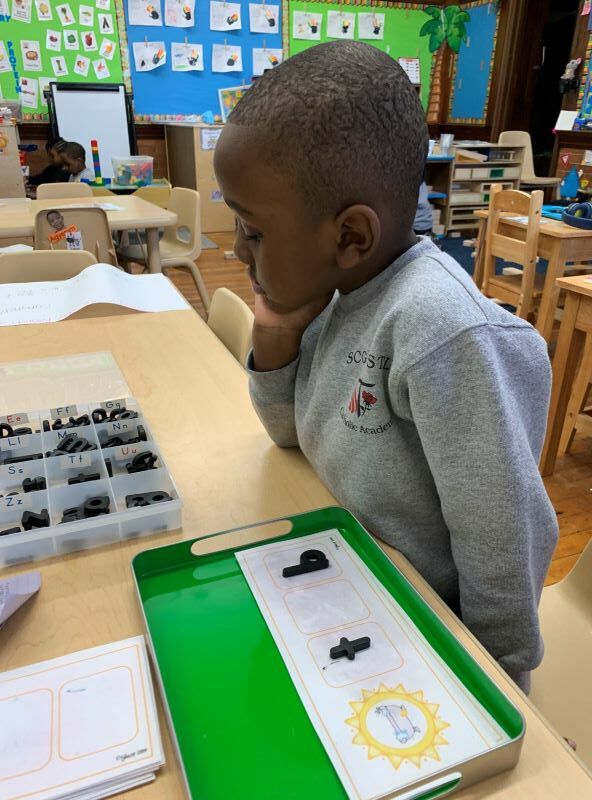 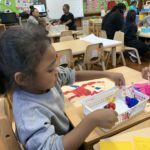 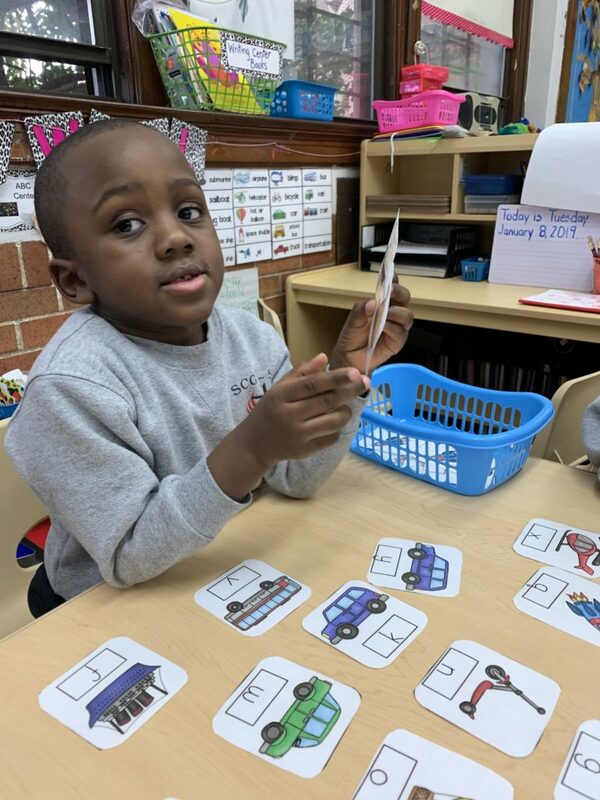 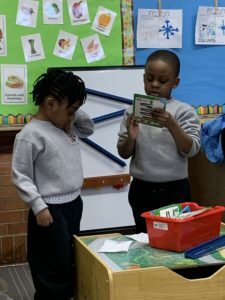 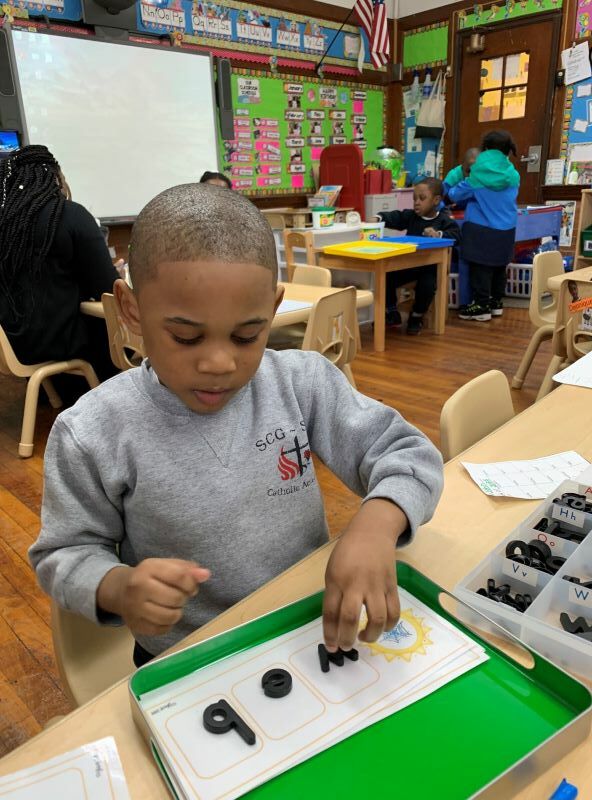 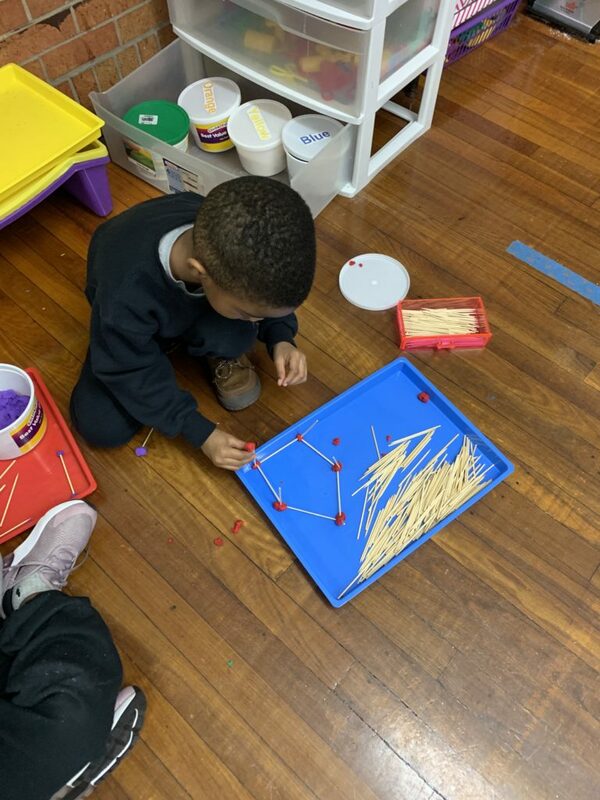 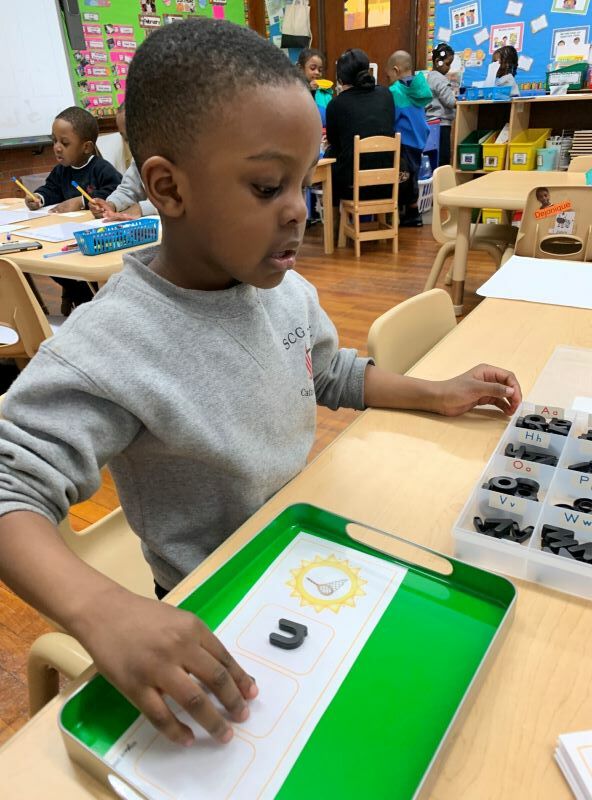 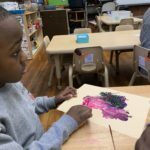 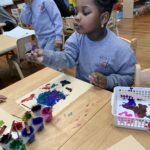 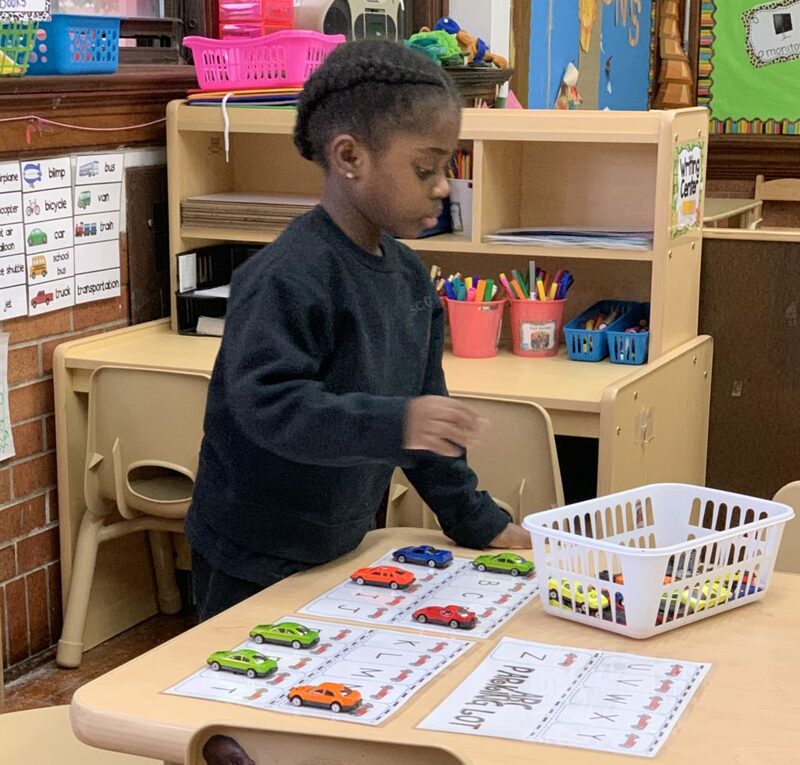 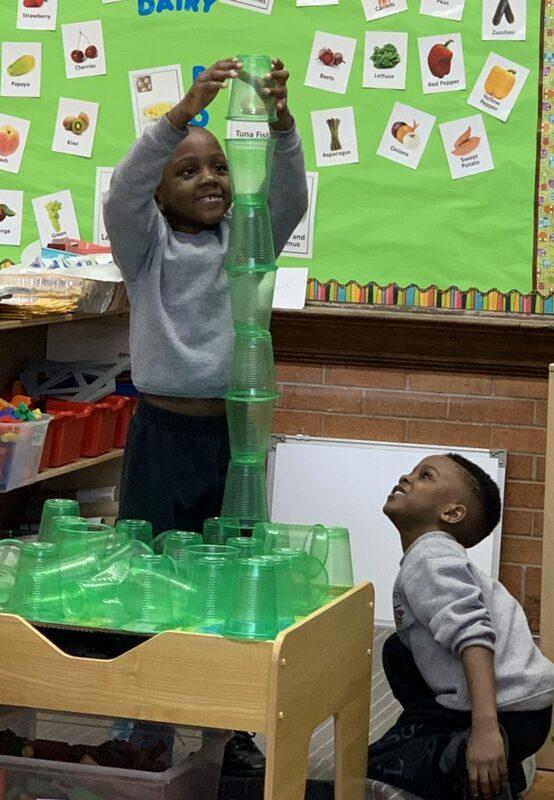 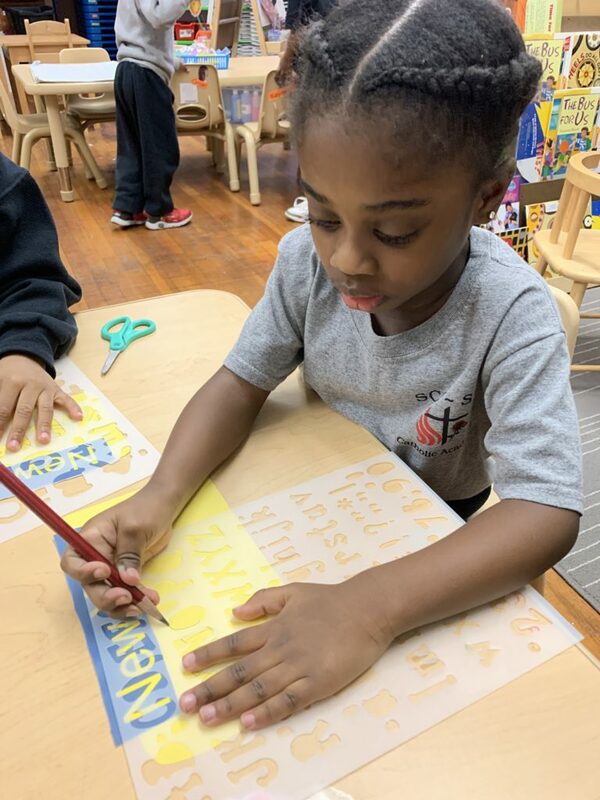 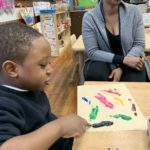 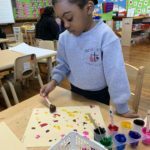 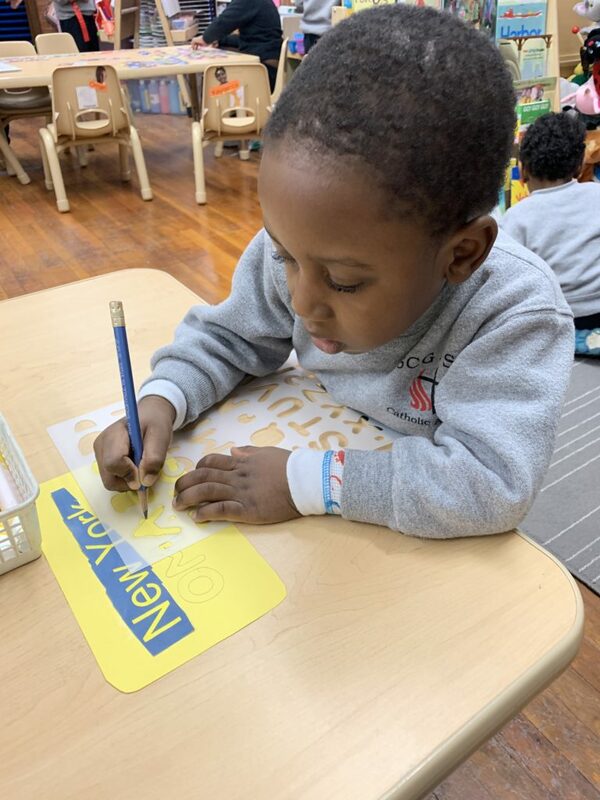 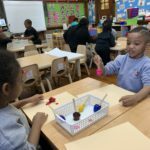 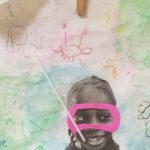 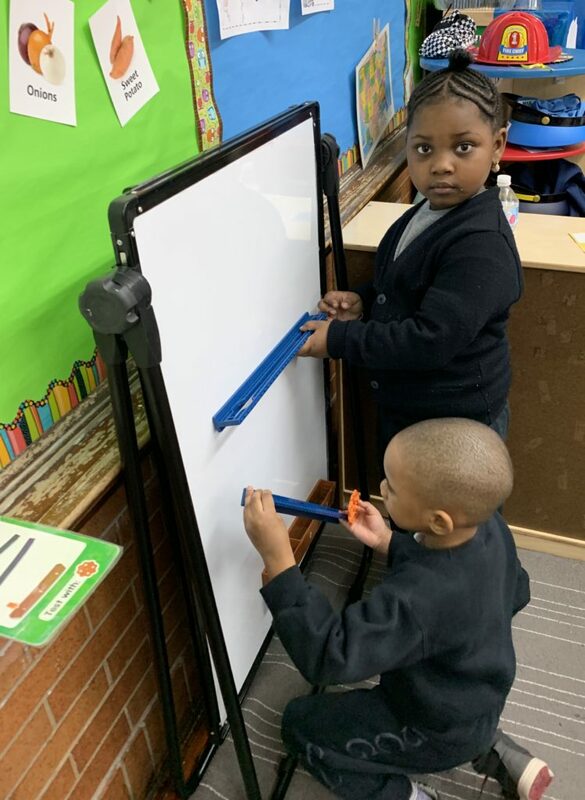 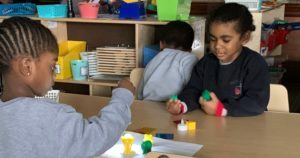 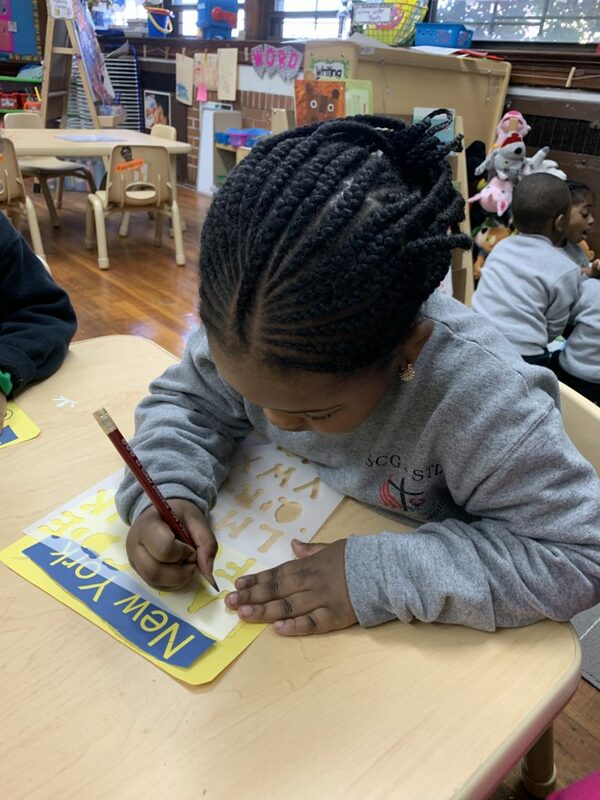 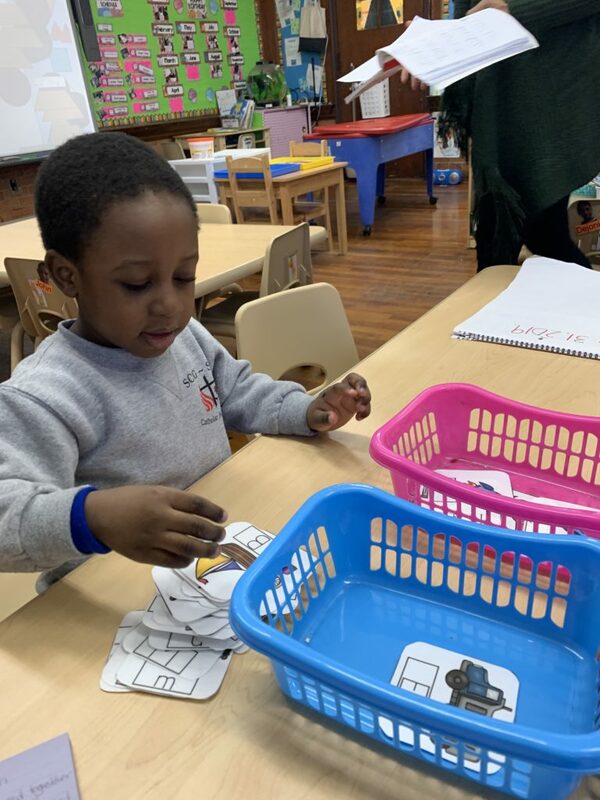 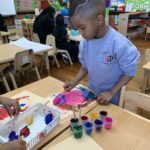 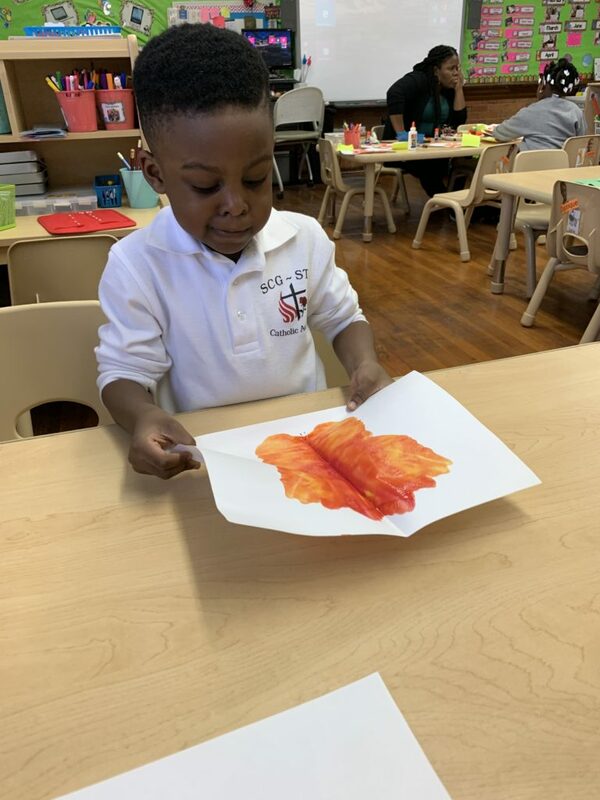 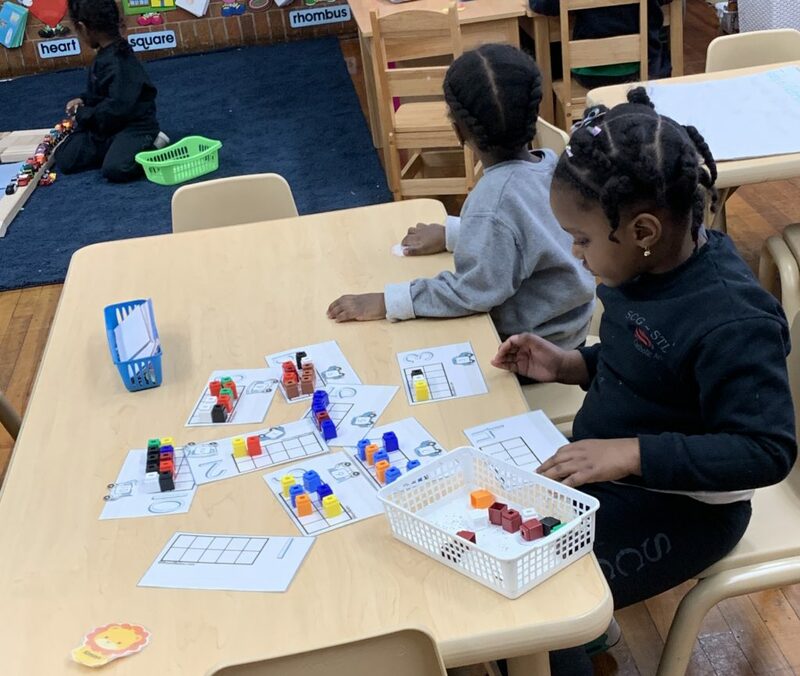 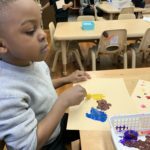 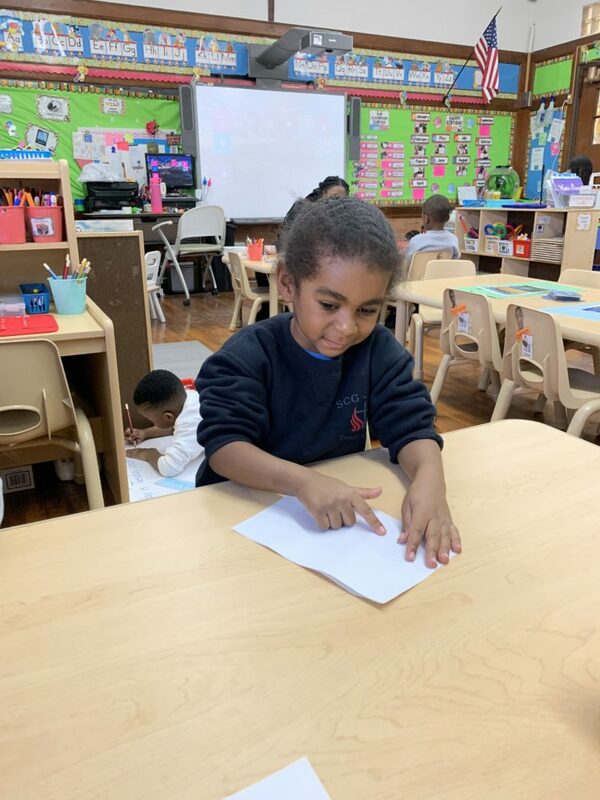 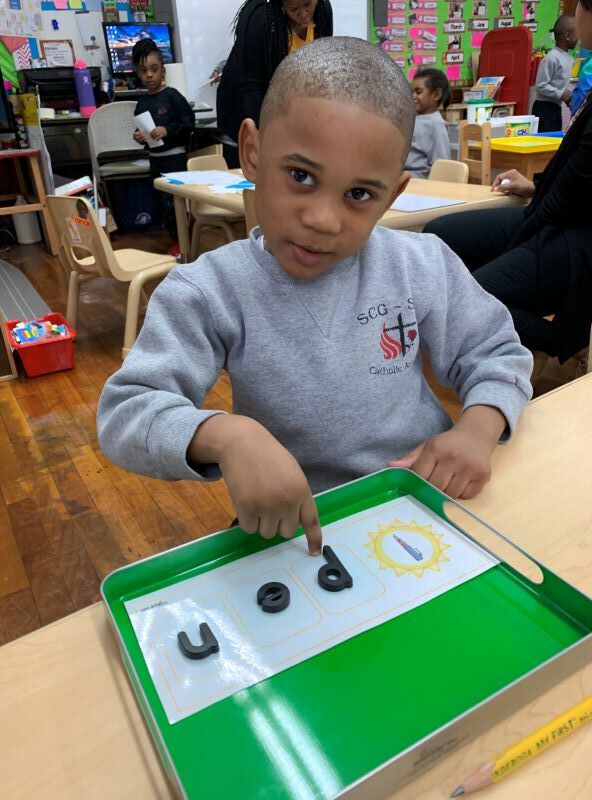 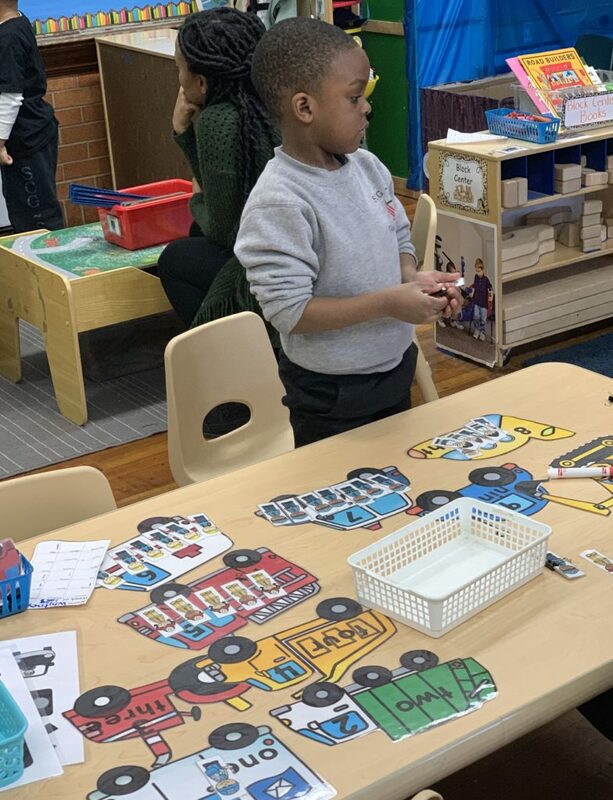 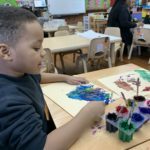 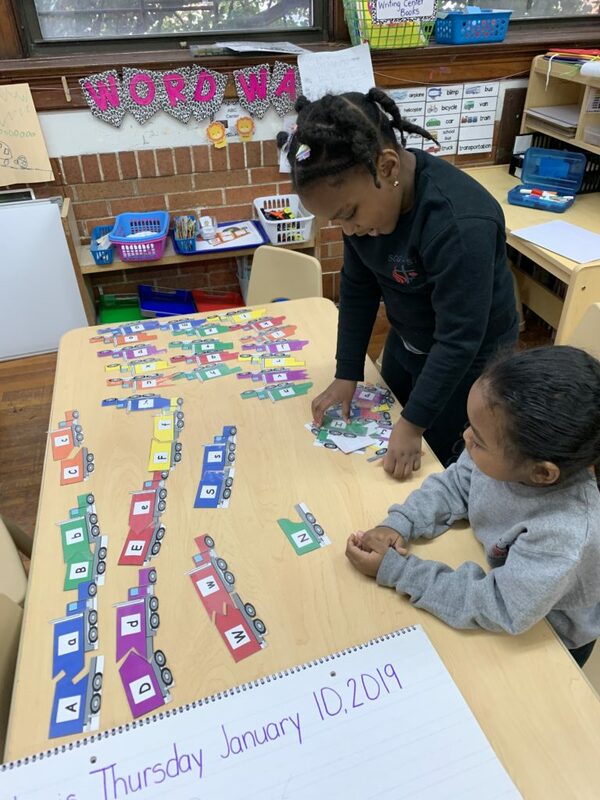 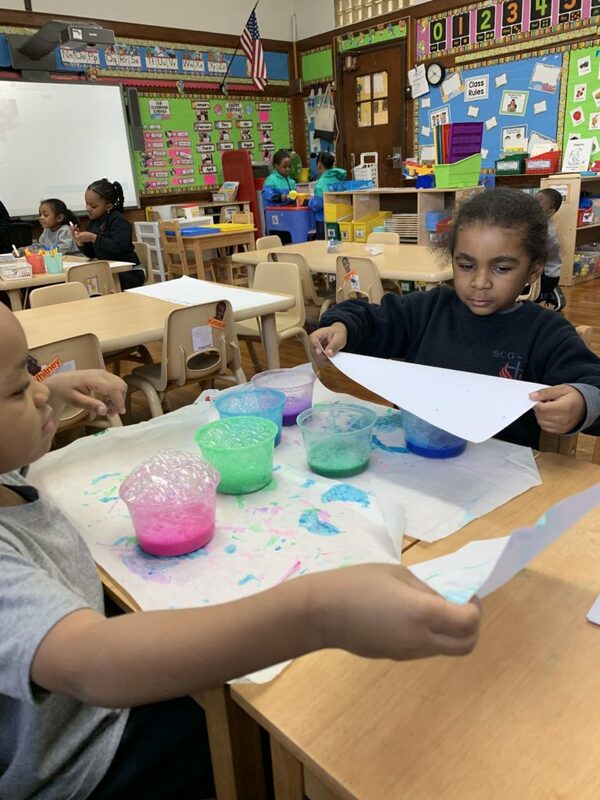 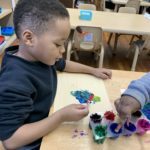 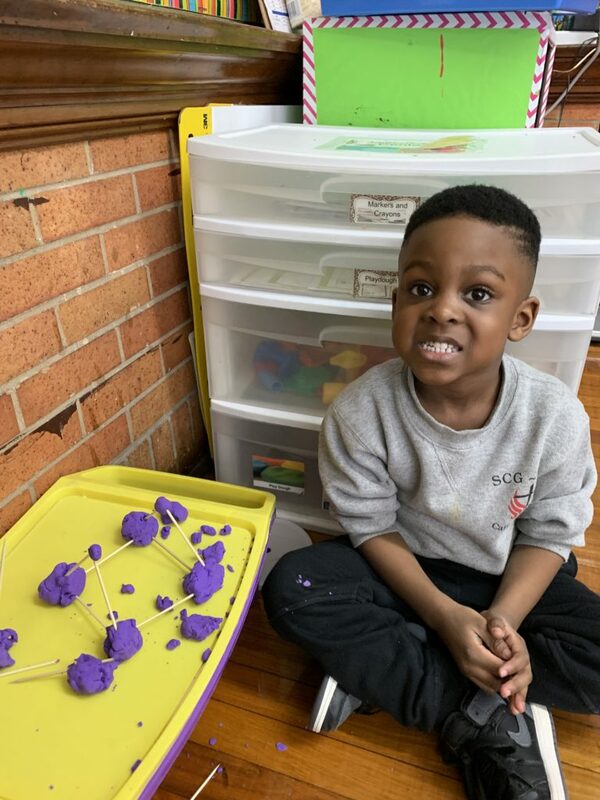 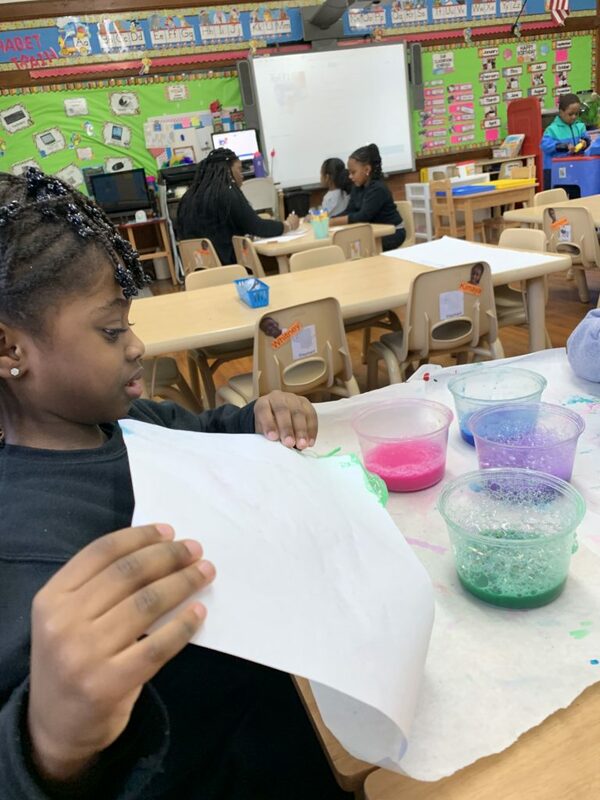 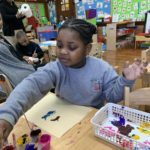 Pre-K spent the month of February studying LIGHT! 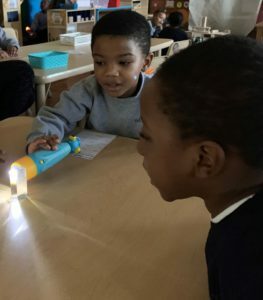 We experimented with different light sources such as flashlights, sunlight, and glow sticks. 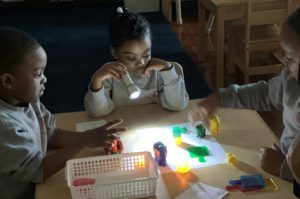 We used light to determine if items were translucent, transparent or opaque. 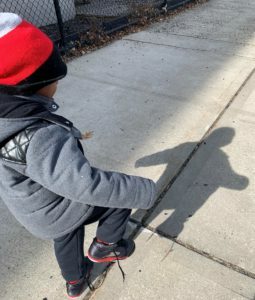 Students used many different objects to cast shadows and we went outside to play with our own shadows. 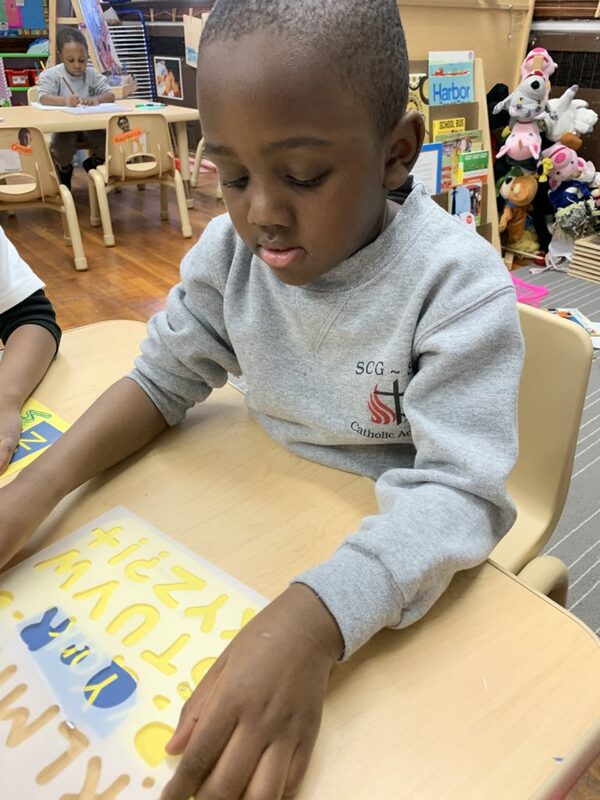 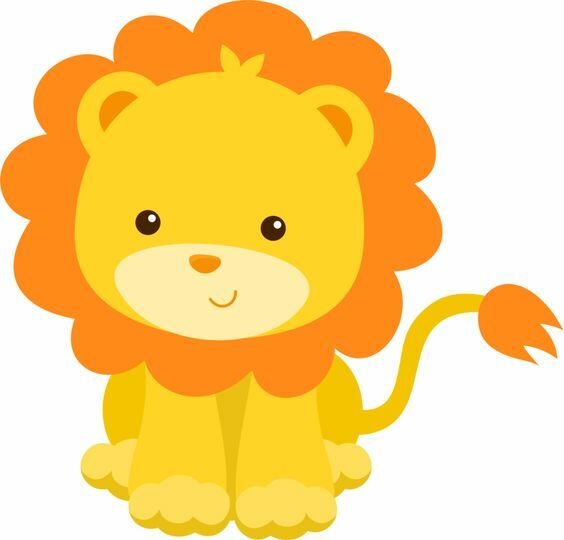 We learned how some animals sleep in the daytime, they are called nocturnal and we are diurnal because we sleep at night. 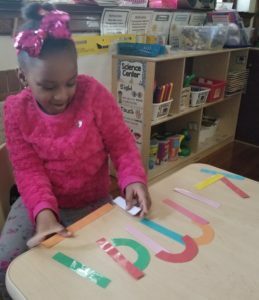 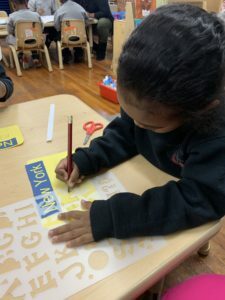 In the ABC center we used straight and curved lines to create letters for our names. 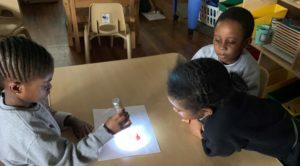 In the science center we used a prism to experiment with bending light. 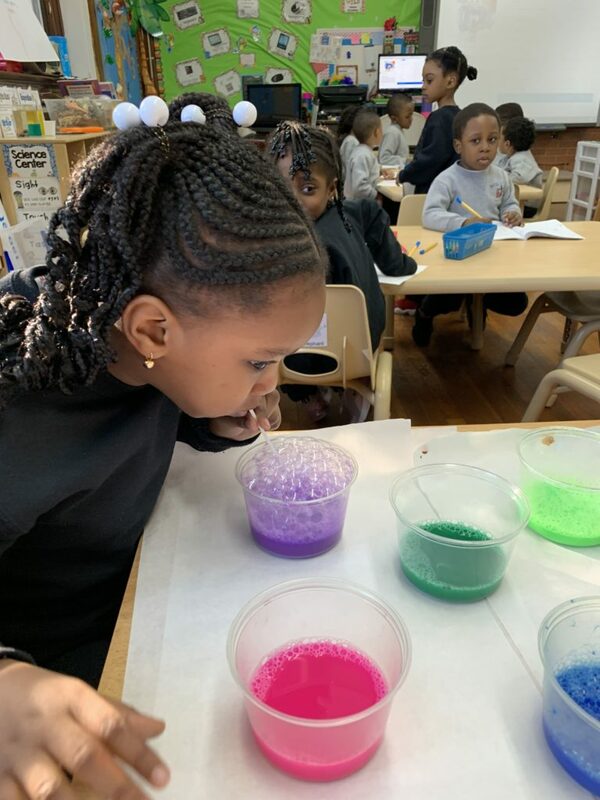 If we held the flashlight just right we found a rainbow. 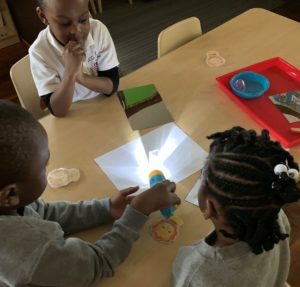 We used mirrors to reflect the light. 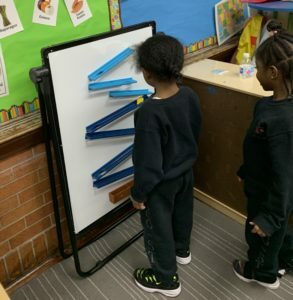 In the Math Center we experimented with moving moving shadows. 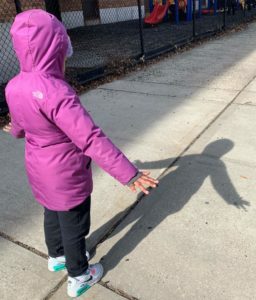 We learned how shadows move depending on where the light source is coming from. 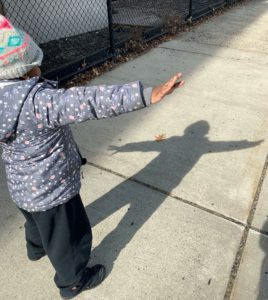 We also learned how a shadow gets bigger and smaller. 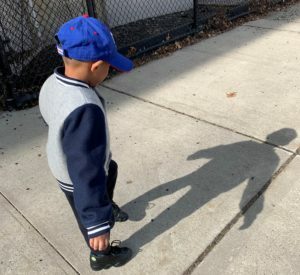 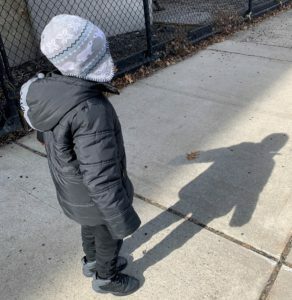 We went outside and watched as our shadow followed every move we made! 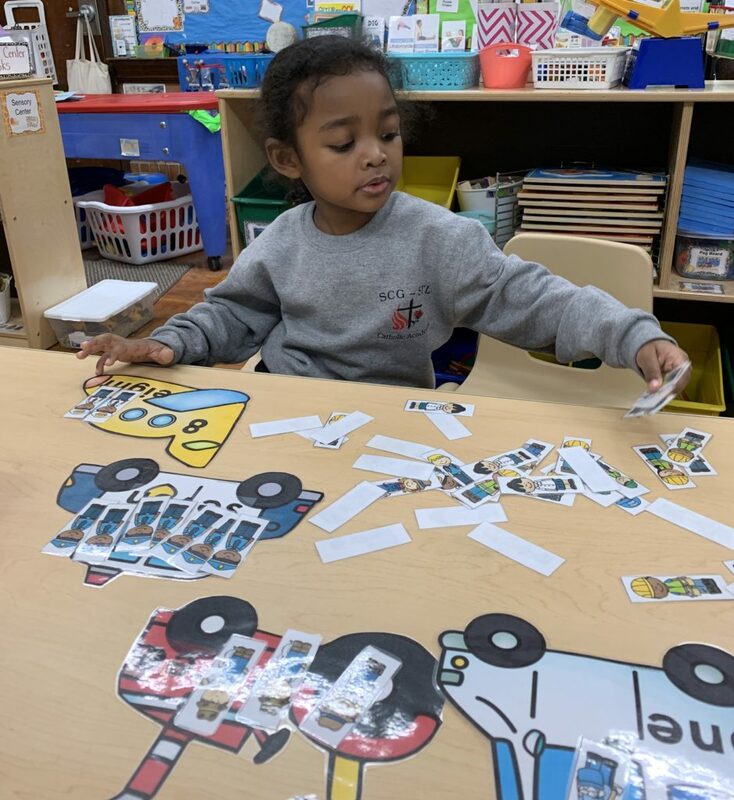 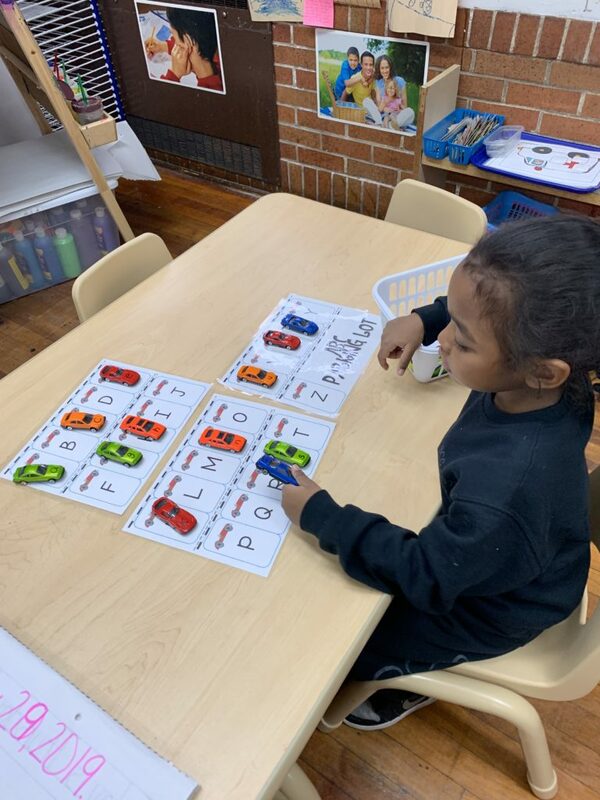 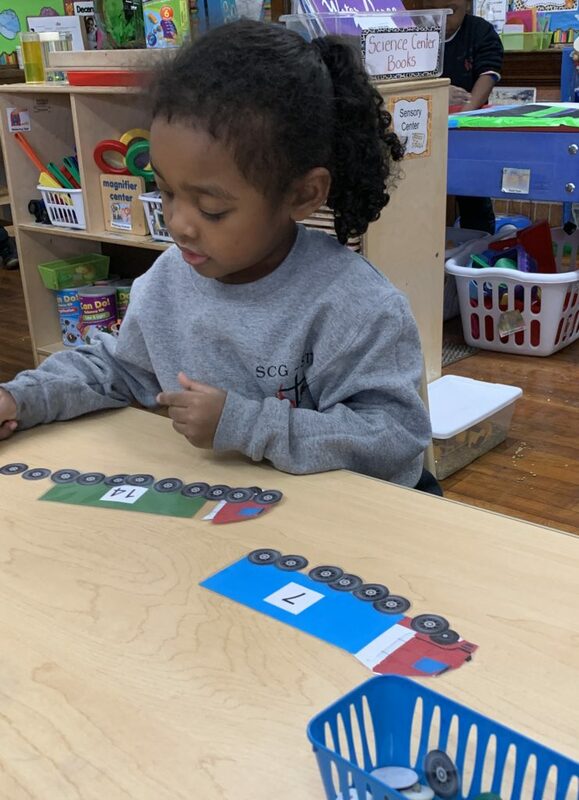 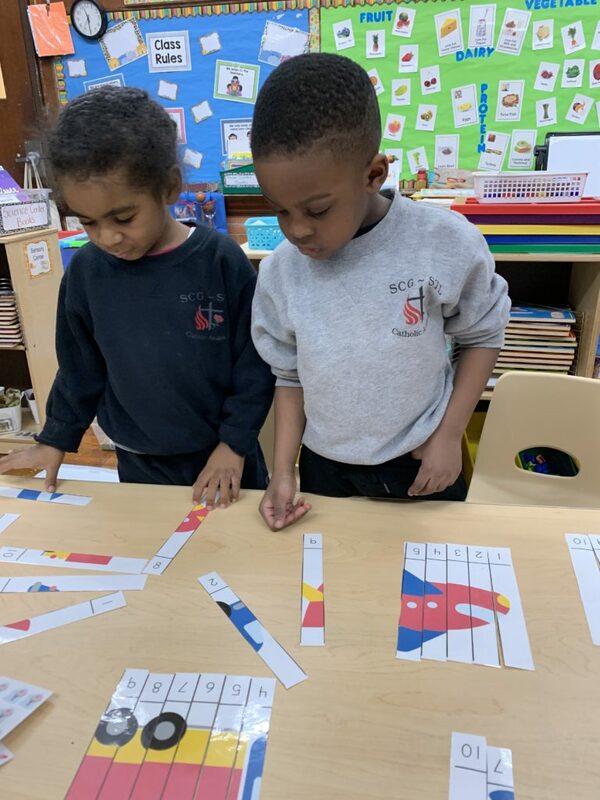 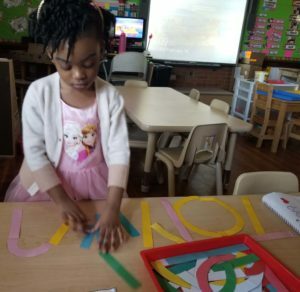 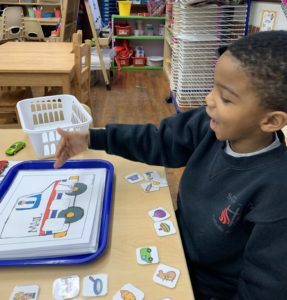 In the ABC center we matched lower case letters to their upper case letter in different puzzle games. 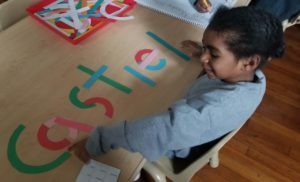 We also worked on rhyming words. 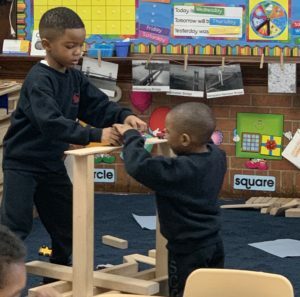 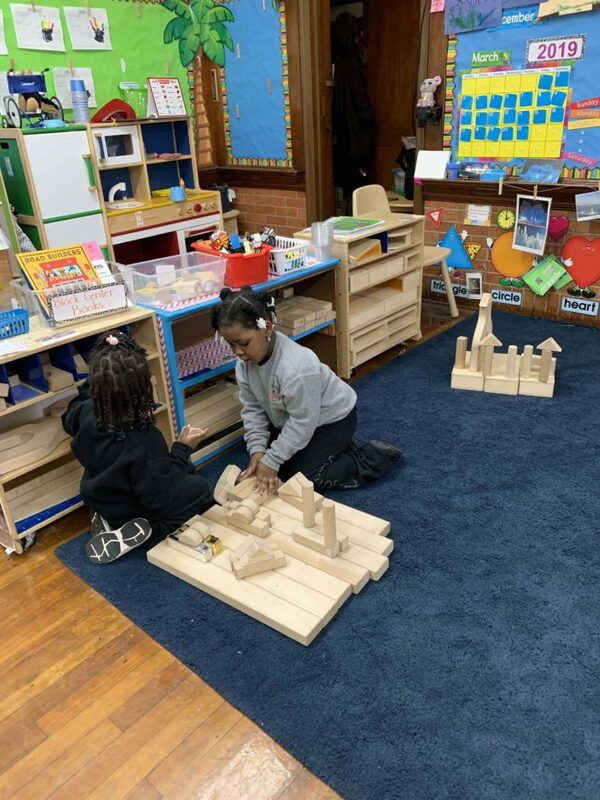 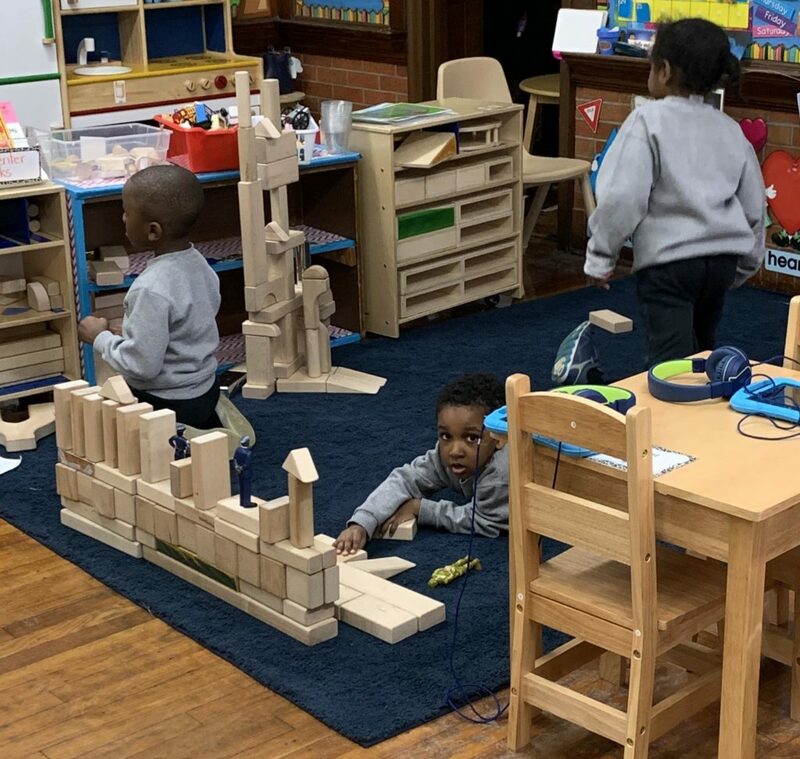 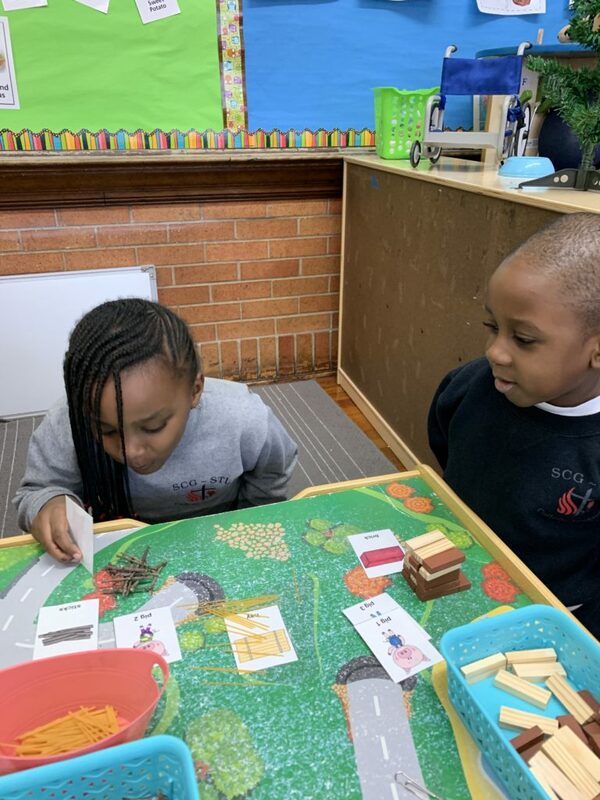 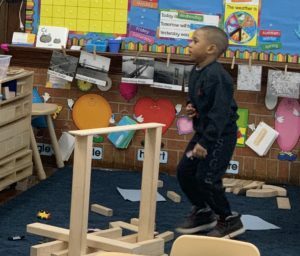 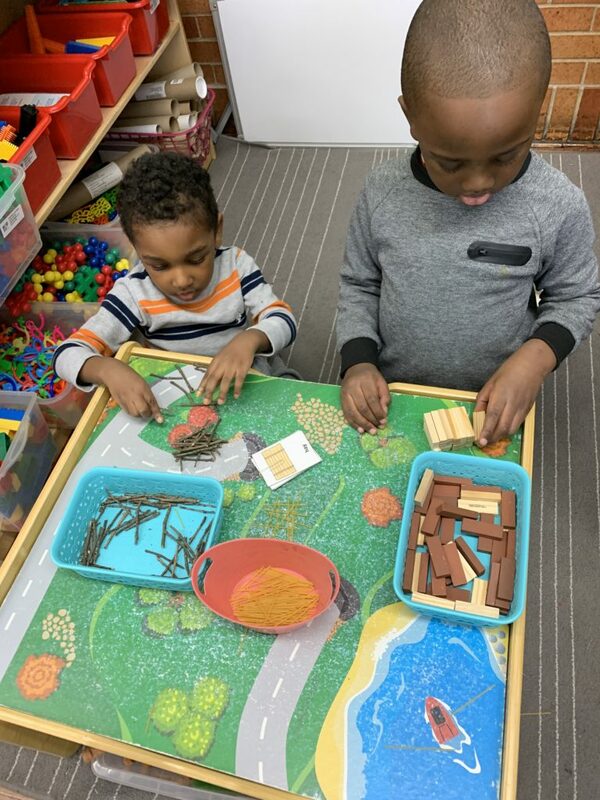 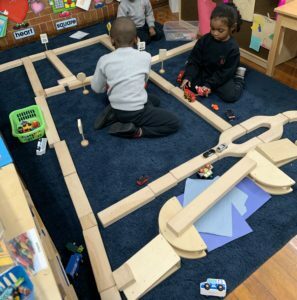 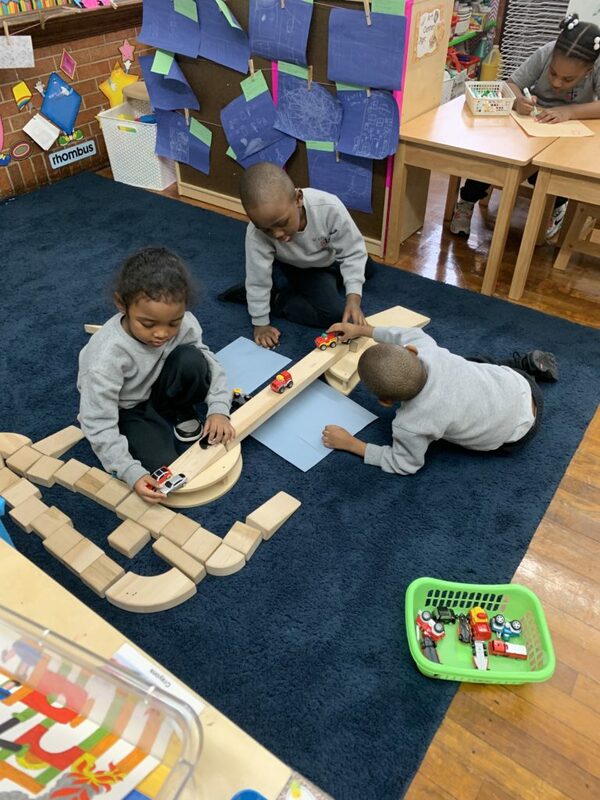 In the Block center we built bridges and roads in a city. 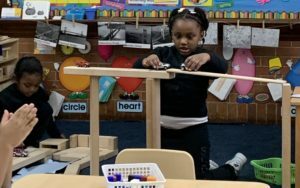 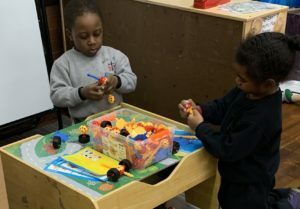 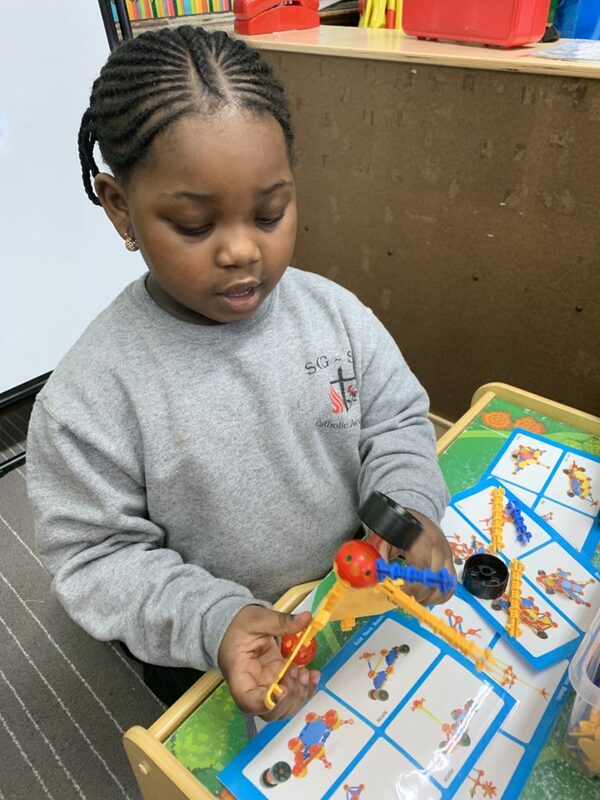 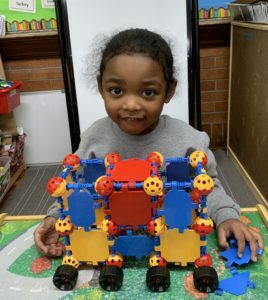 In the Engineering Center we built different vechiles and learned how gears move and work. 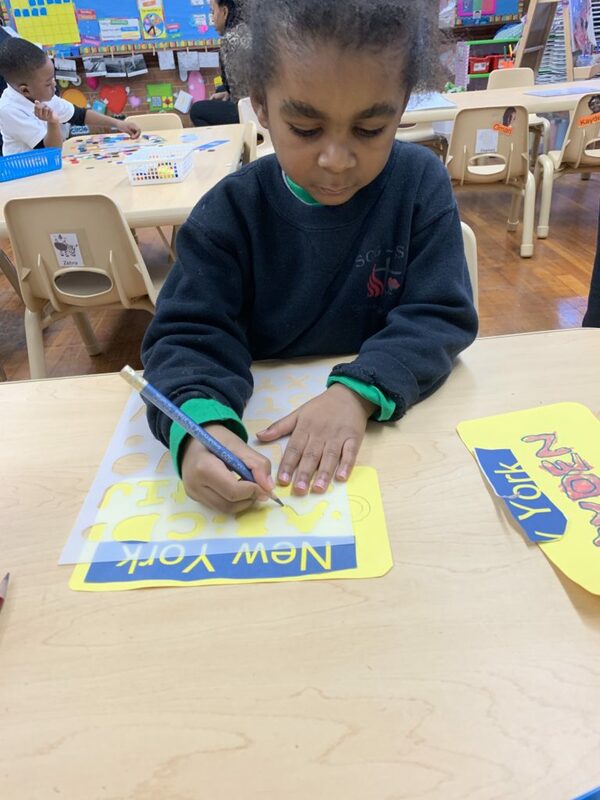 We traced letters and colored them in to make a licence plate with our names on them. 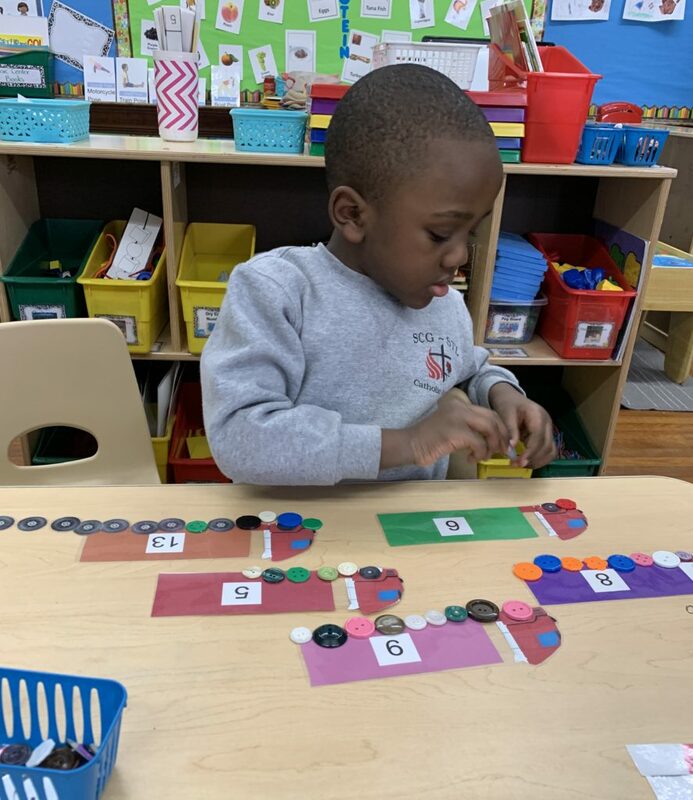 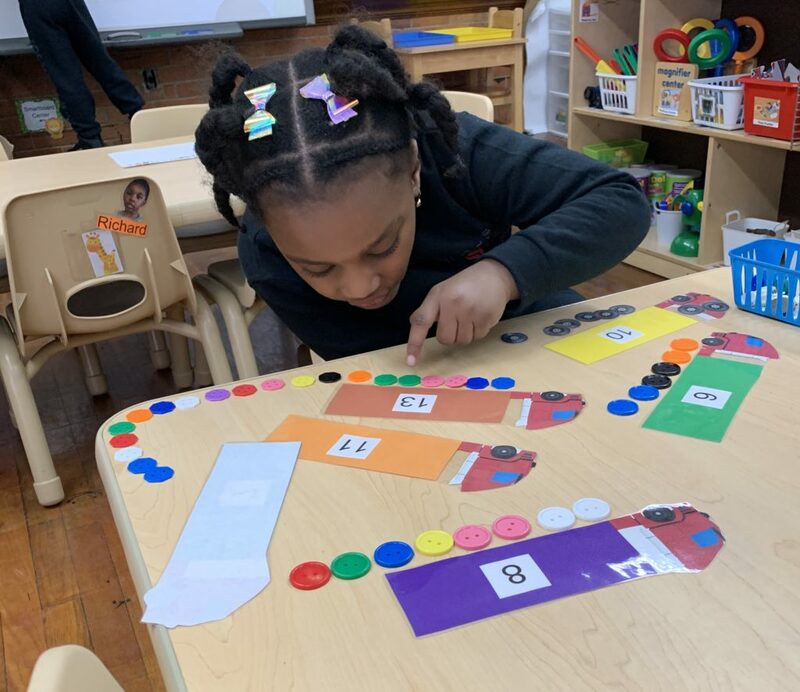 We used manipulatives to count wheels for the trucks, filling in tens frames with the correct number. 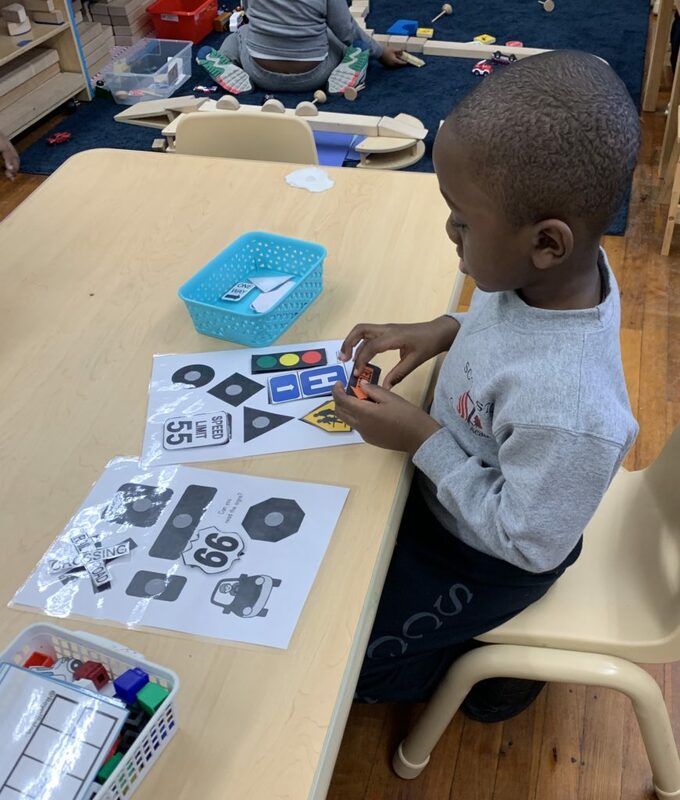 We also matched community helpers with their vehicles and the shapes of traffic signs. 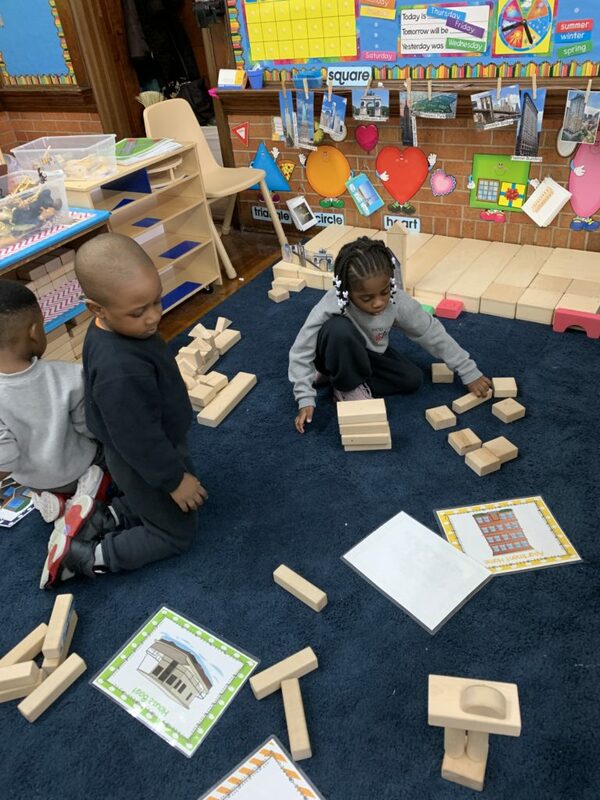 Block Center- We built different types of houses you can find all over the world. 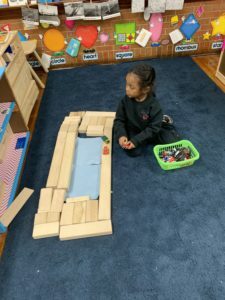 We even made our classroom with cots for nap time! 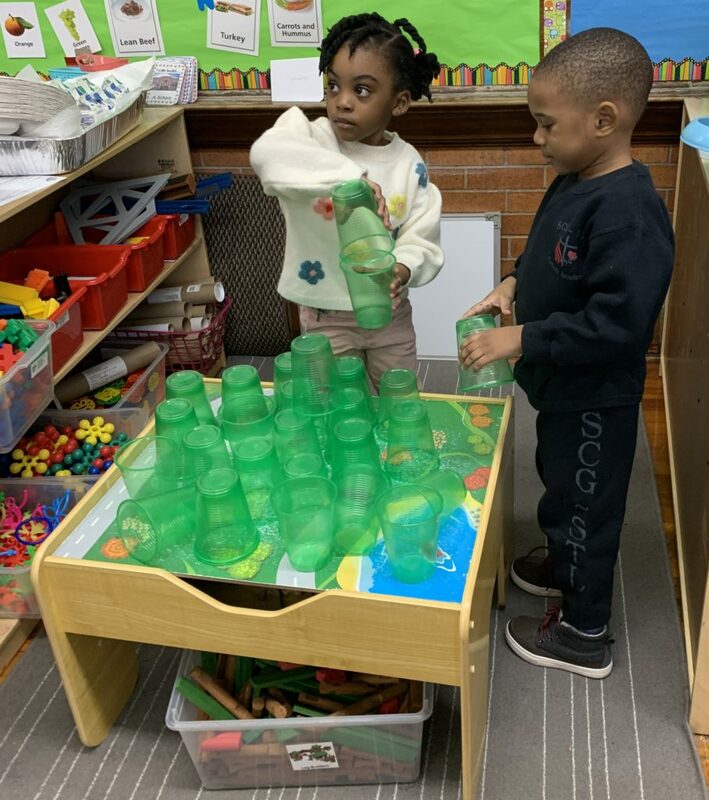 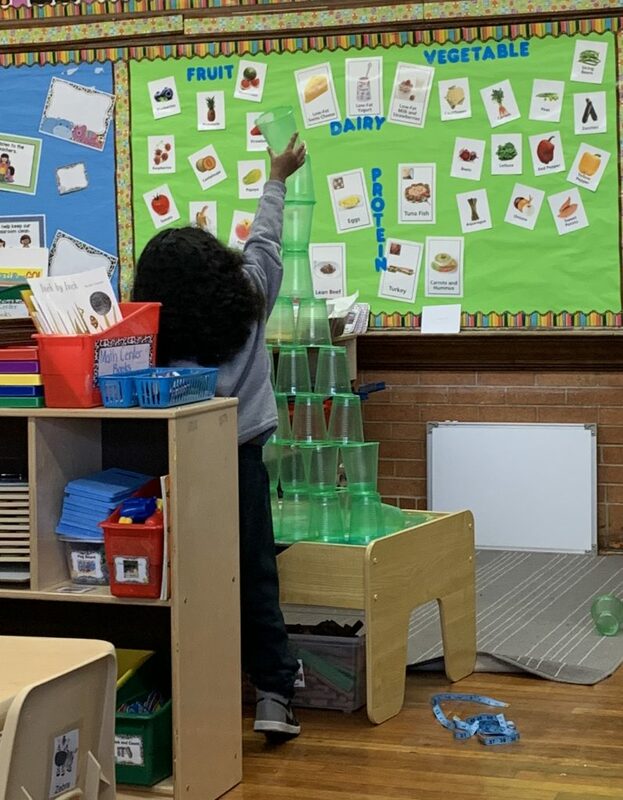 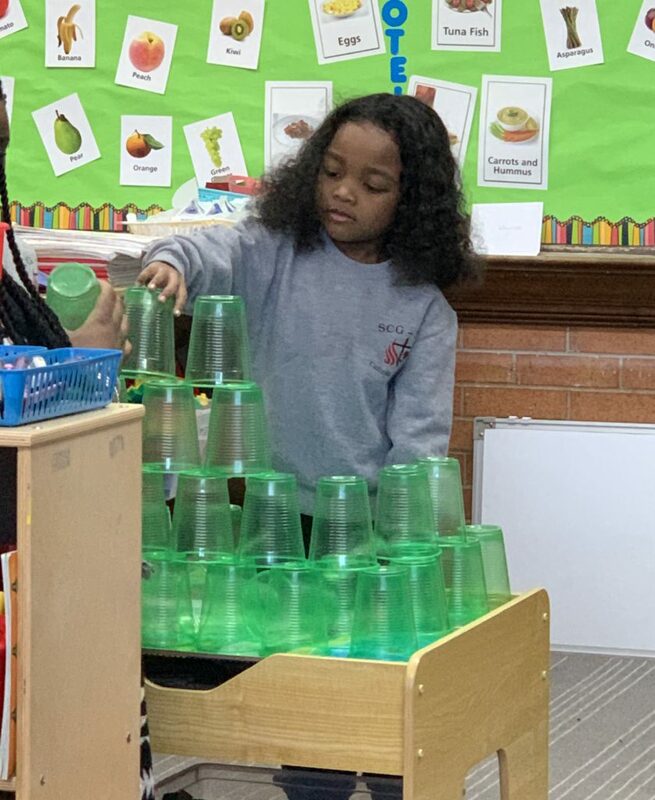 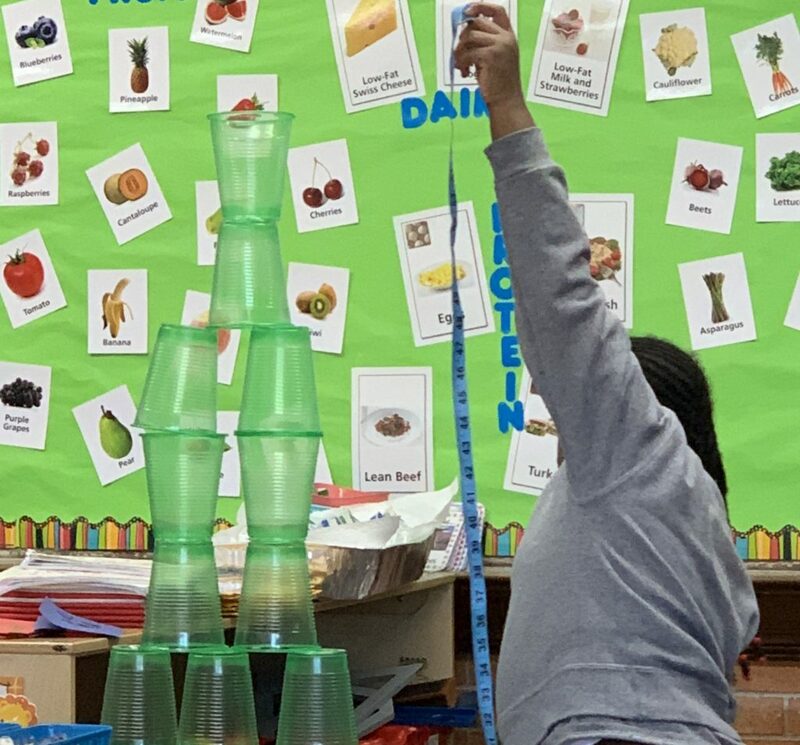 How tall can you build a cup Christmas Tree? 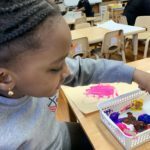 We used play dough and toothpicks to make houses! 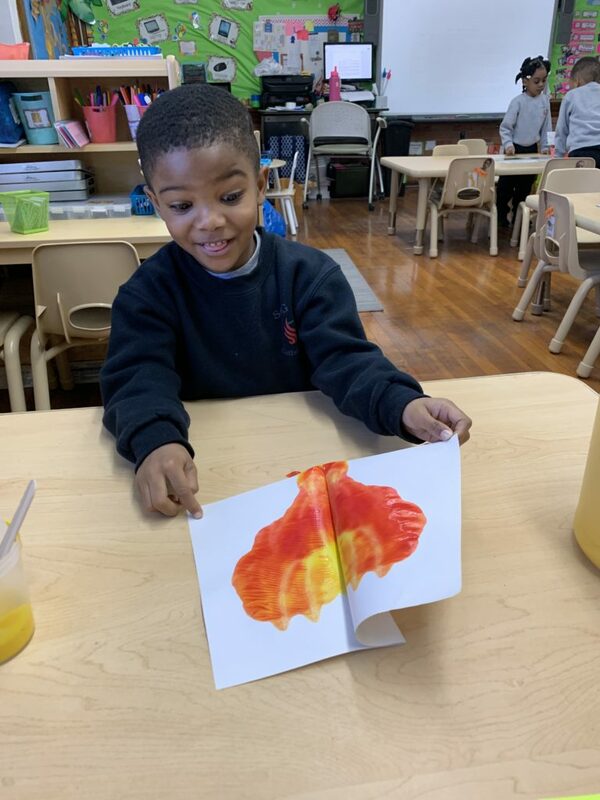 After reading the story the Big Orange Splot and made our own orange splots. 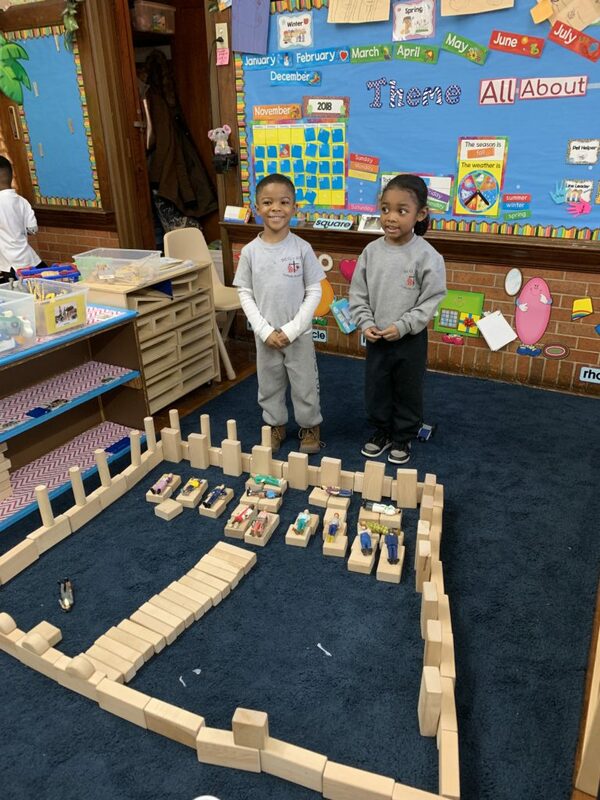 We retold the story of the Three Little Pigs and Not So Bad Wolf in the Engineering Center. 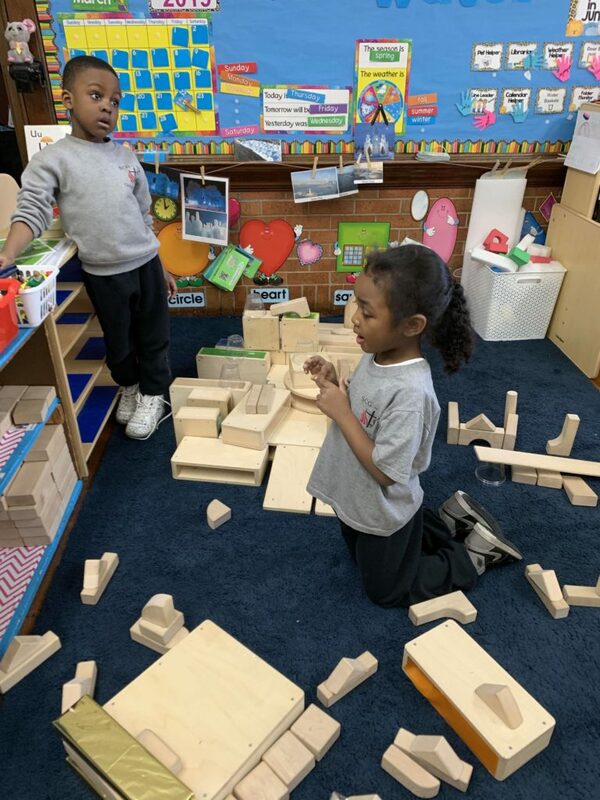 We built the 3 houses and blew them down like the wolf. 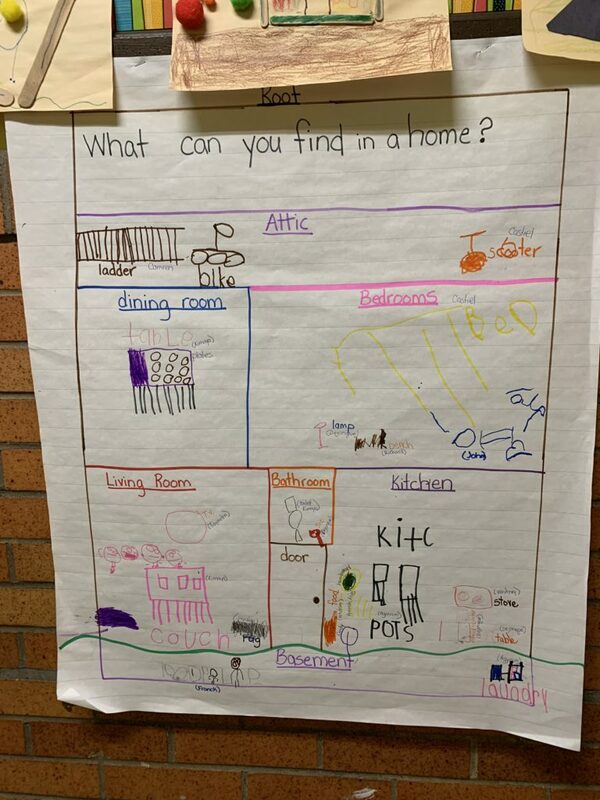 We talked about things you can find in a home and where you might find them. 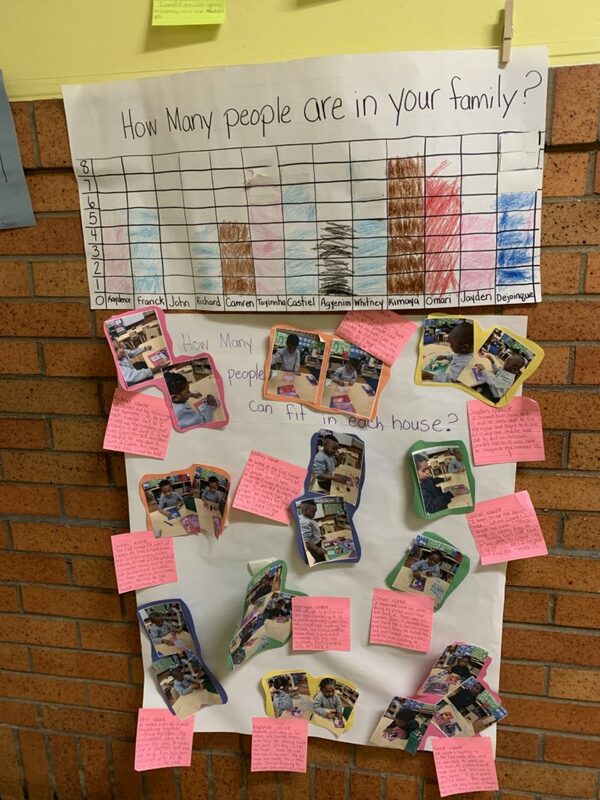 In the Math center we graph the number of people in our families and used manipulatives to fill up houses. 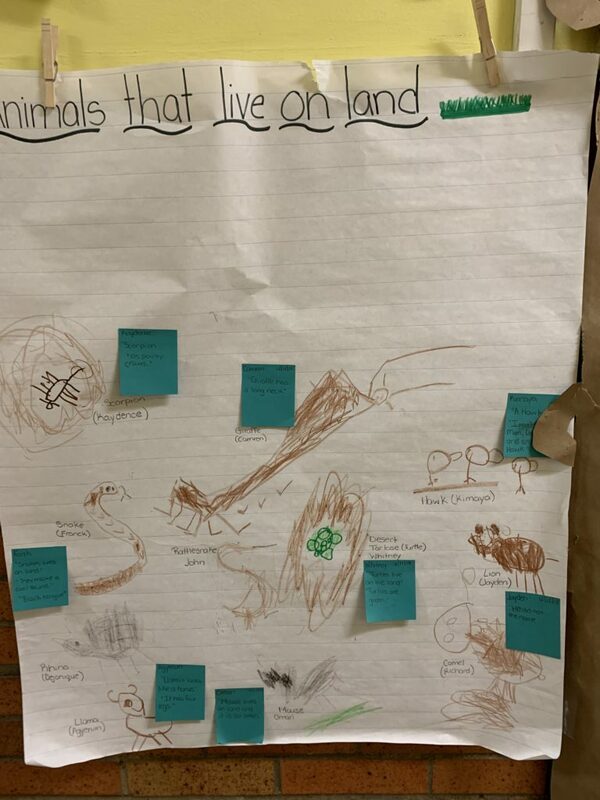 We also learned about animals and where they live!